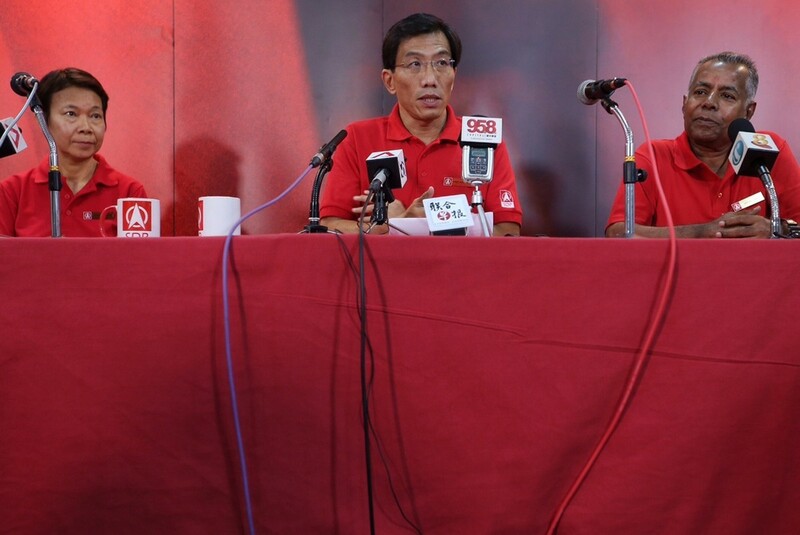 Among the Workers' Party new potential candidates for the coming general election are: (clockwise from top left) Daniel Goh, 42, an associate professor of sociology at the National University of Singapore; Dylan Ng, 40, a banker; Koh Choong Yong, 42, a software engineer; and Redzwan Hafidz Abdul Razak, 30, an engineer. 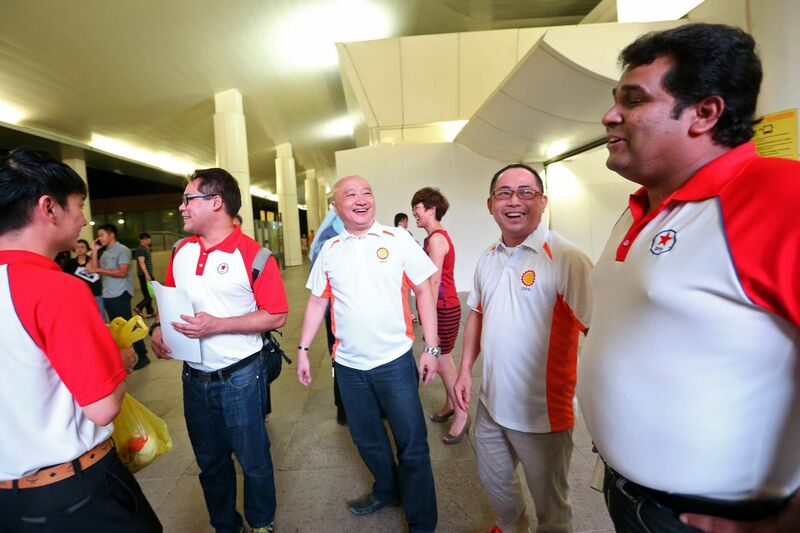 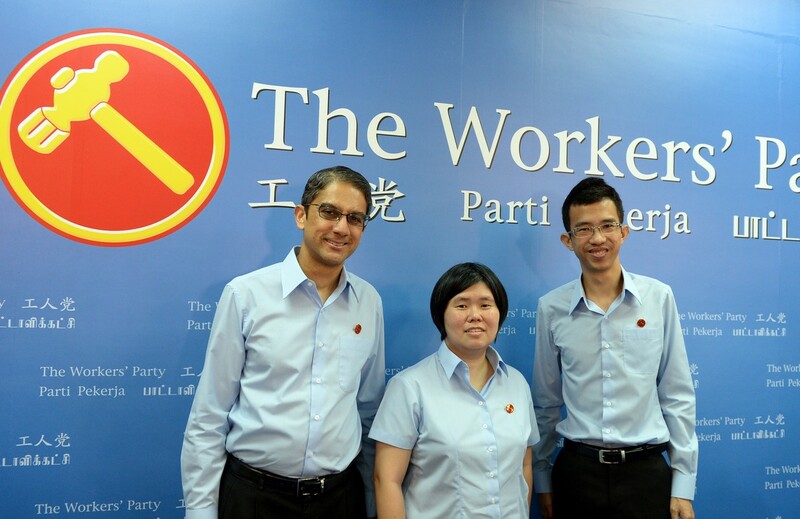 SINGPORE - The Workers' Party (WP) has introduced four new potential candidates for the coming general election. 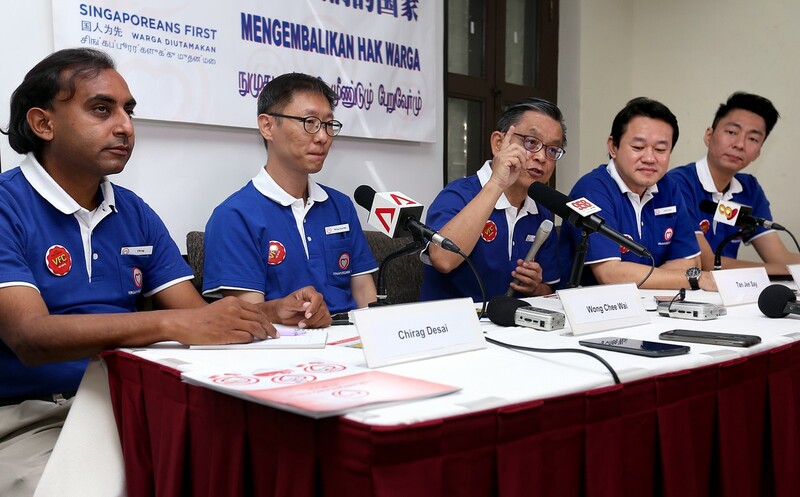 They are: Daniel Goh, 42, an associate professor of sociology at the National University of Singapore; Dylan Ng, 40, a banker; Koh Choong Yong, 42, a software engineer; and Redzwan Hafidz Abdul Razak, 30, an engineer. 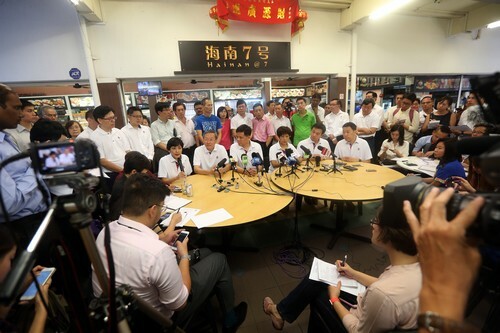 The WP said on July 26 that it would be contesting 28 seats this time - up from 23 in the last general election. 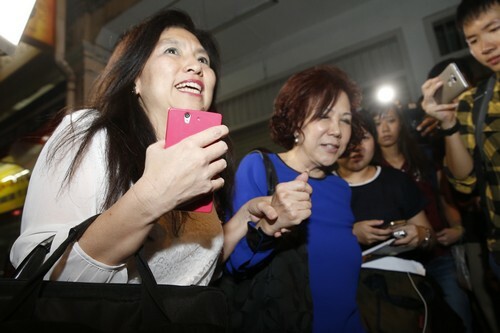 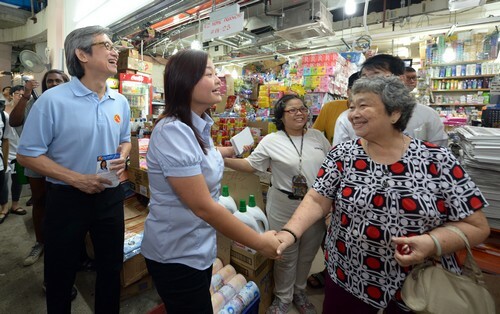 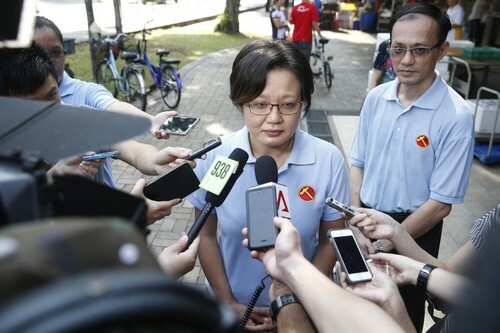 Party chairman Sylvia Lim also said earlier this month that all its seven elected MPs would be defending their seats in their respective constituencies. 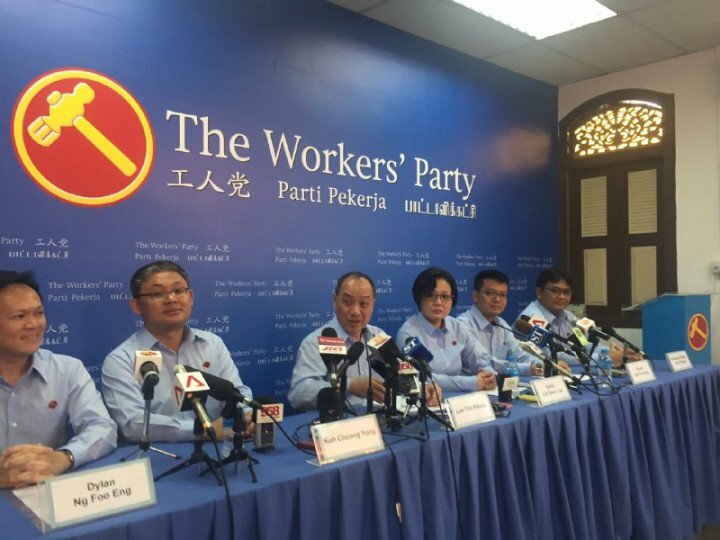 The Workers' Party announced Mr Leon Perera, Mr Bernard Chen and Ms Frieda Chan as its final batch of candidates on Monday, Aug 31. 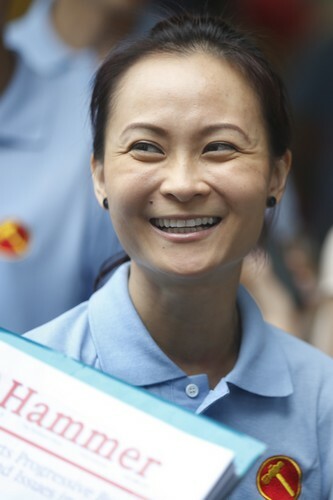 Frieda Chan, 39, is a medical social worker. 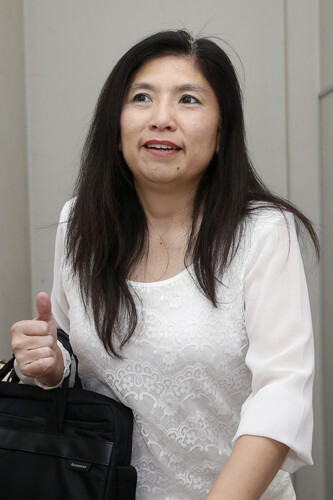 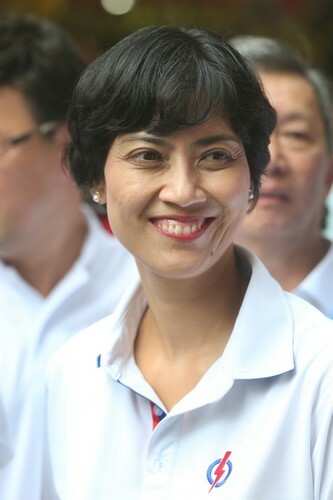 In 2011, she contested in the Moulmein-Kallang GRC and lost to the People's Action Party team led by Dr Yaacob Ibrahim. 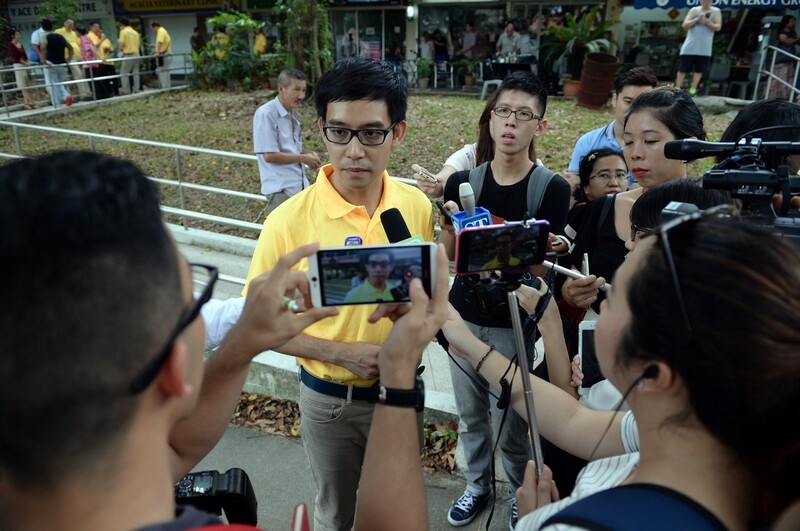 29-year-old Bernard Chen is WP's youngest candidate for this election. 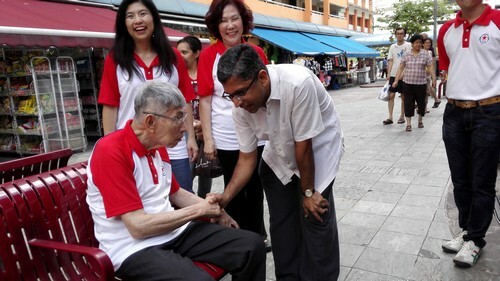 He said: "I hope my participation in the WP will serve as an encouragement for Singaporeans to have a say in their future." 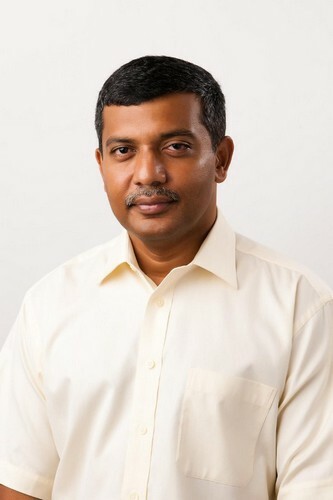 Leon Perera , 44, CEO of a research and consultancy firm, said: "We can and should take an interest in the political and social systems of our country and try to shape it to reflect what we want our country to be." 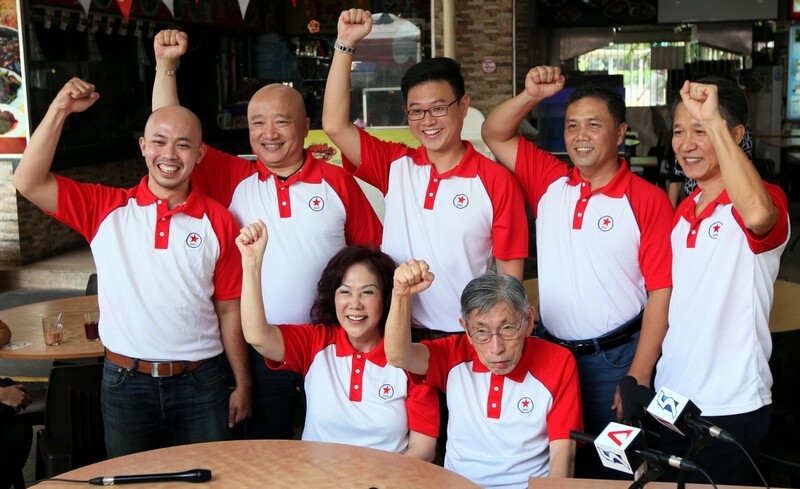 The Workers' Party announced another four candidates for the upcoming GE on Sunday, Aug 30, bringing the total number of new candidates introduced by the party to 16. 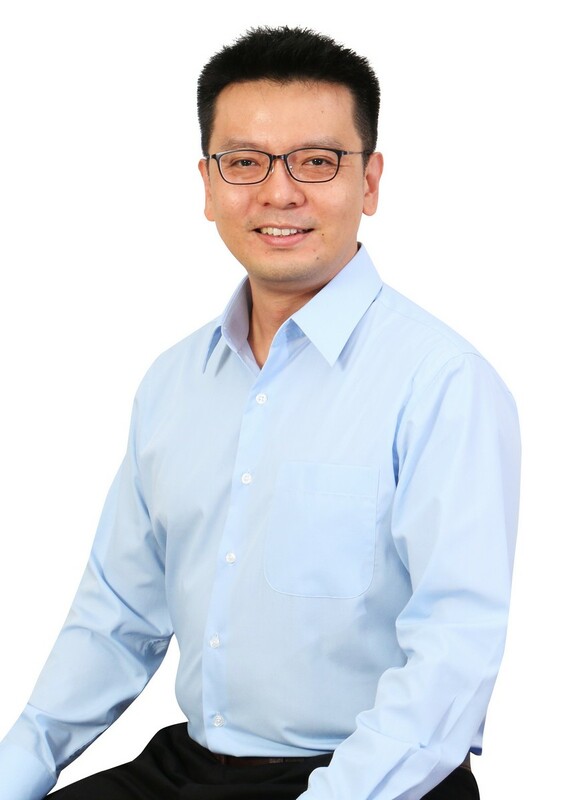 The candidates include Mr Dennis Tan, 45, is a shipping law firm partner. 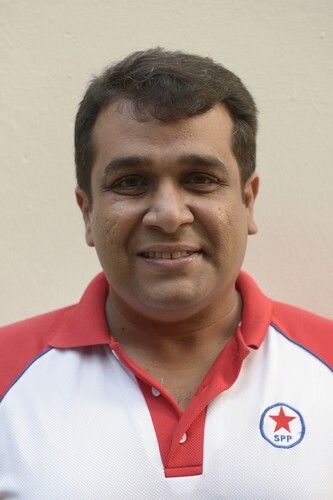 Mr Fairoz Shariff, 36, is a former associate librarian. 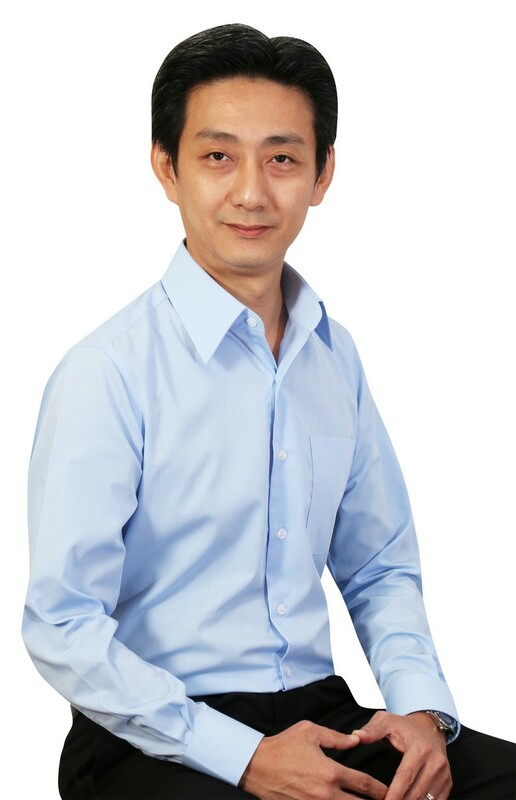 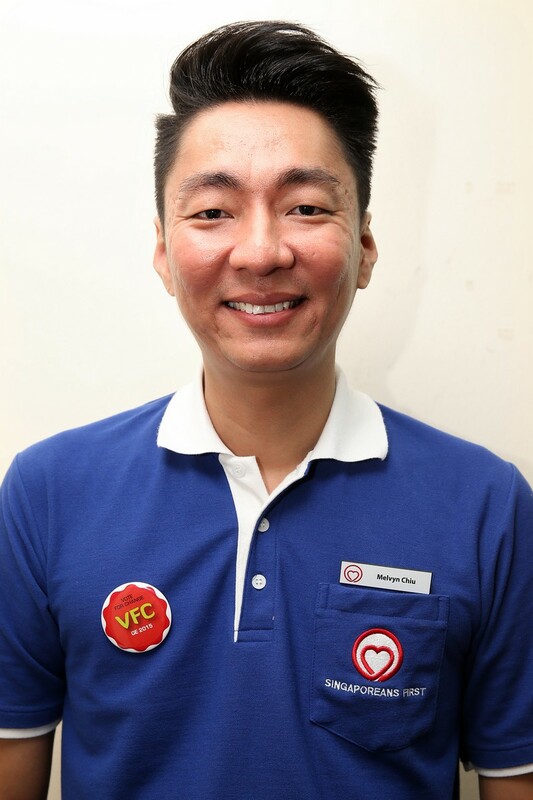 Mr Kenneth Foo Seck Guan, 38, is the manager of public education at the Singapore Cancer Society. 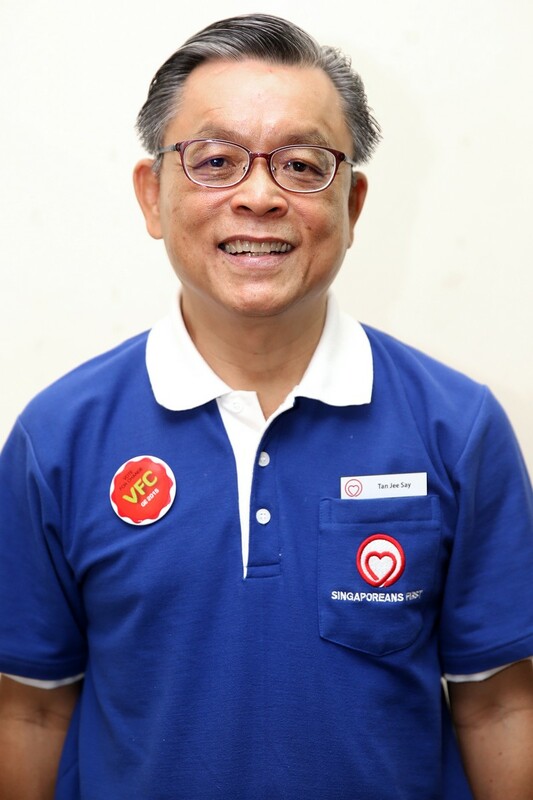 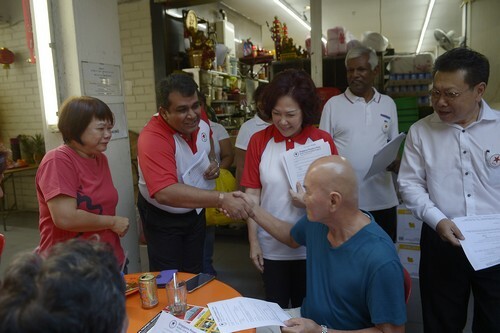 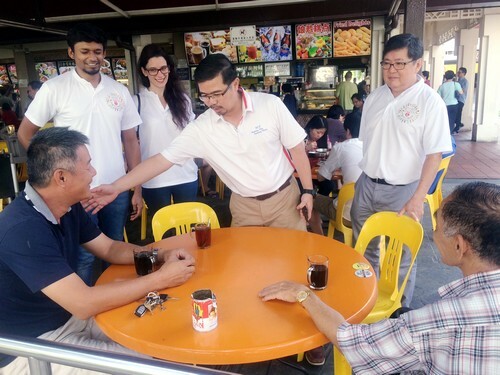 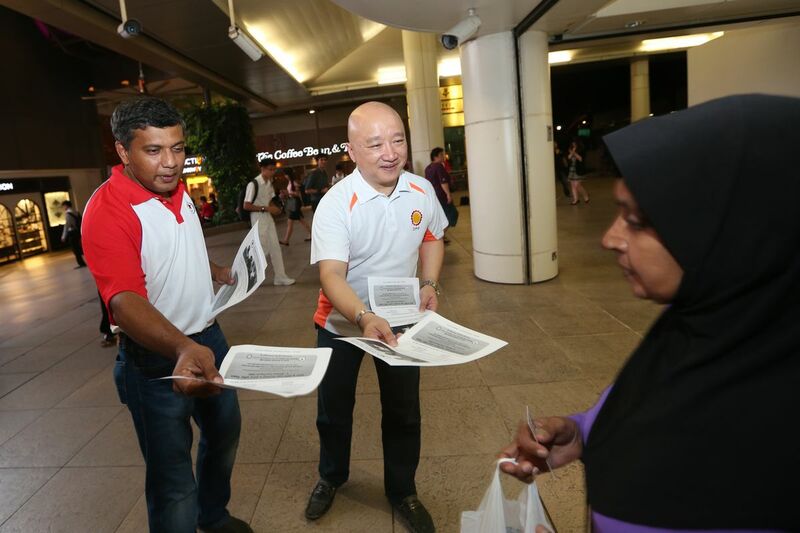 Mr Gurmit Singh, 55, who works as a legal counsel in a property firm, started volunteering with the WP after the 2011 polls and became a member in 2013. 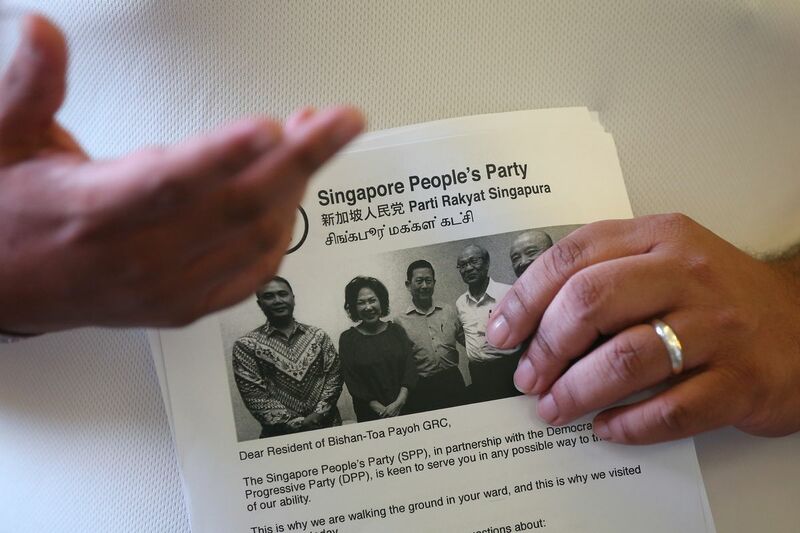 The Singapore People's Party (SPP) and the Democratic Progressive Party (DPP) confirmed on Sunday, Aug 30, its candidate lineup for Bishan-Toa Payoh GRC. 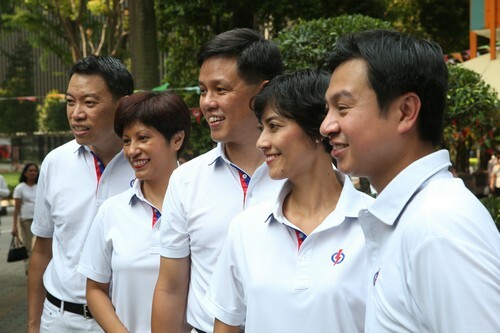 SPP Chairman Lina Chiam said that Benjamin Pwee and Bryan Long will co-lead the five-member team. 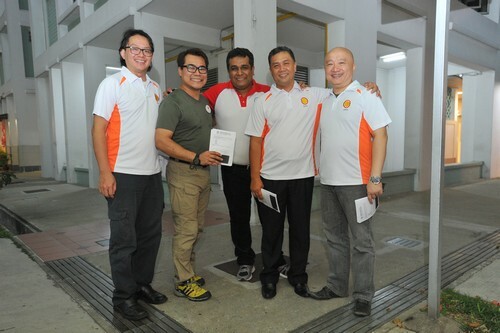 The five-member team also includes Hamim Aliyas, Abdillah Zamzuri and Law Kim Hwee. 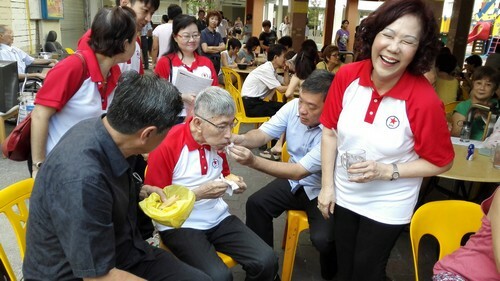 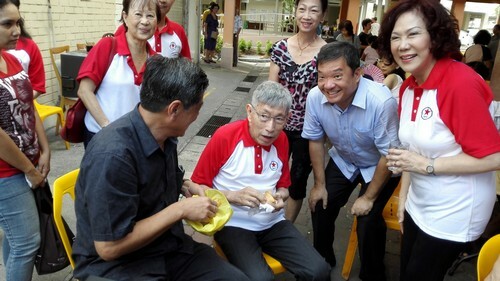 SPP secretary-general and former Potong Pasir SMC MP Chiam See Tong will not contest in the coming election because of his age and poor health. 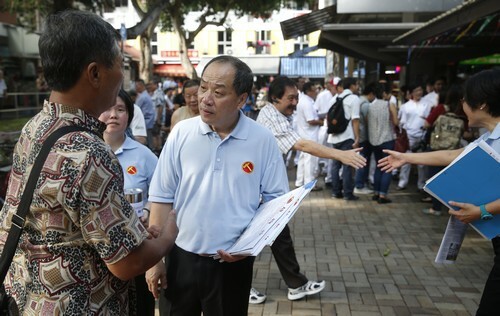 The Singapore Democratic Party (SDP) announced the last three of its slate of 11 candidates for the general election on Saturday, Aug 29, which included party chief Chee Soon Juan, 53, who was unable to contest the general election in 2006 and 2011. 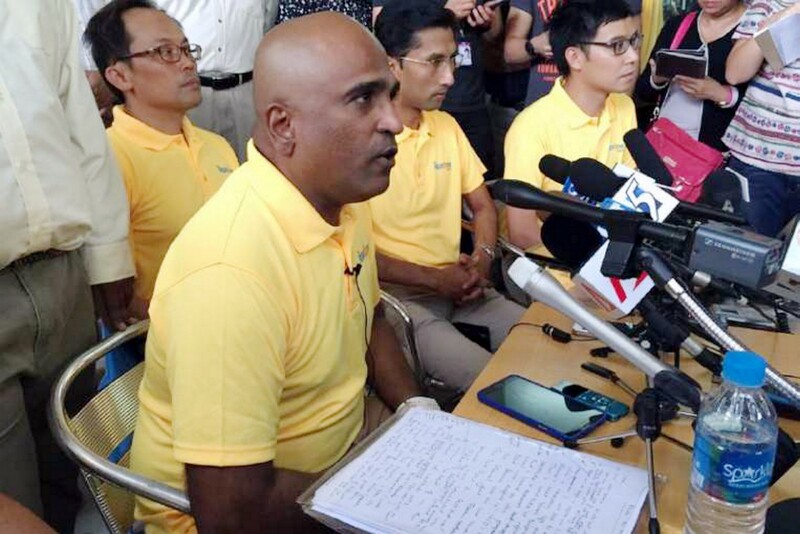 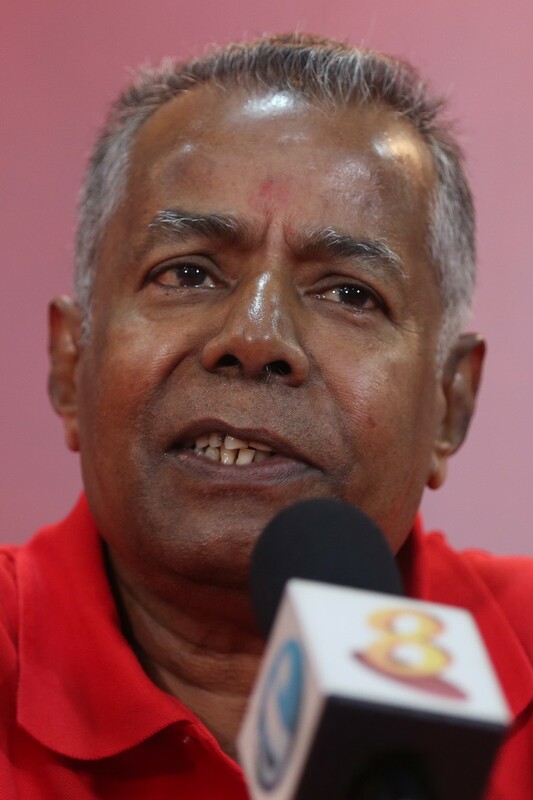 Mr Sadasivam Veriyah, 63, a former teacher, was part of the SDP team contesting the Sembawang group representation constituency in the 2011 General Election. 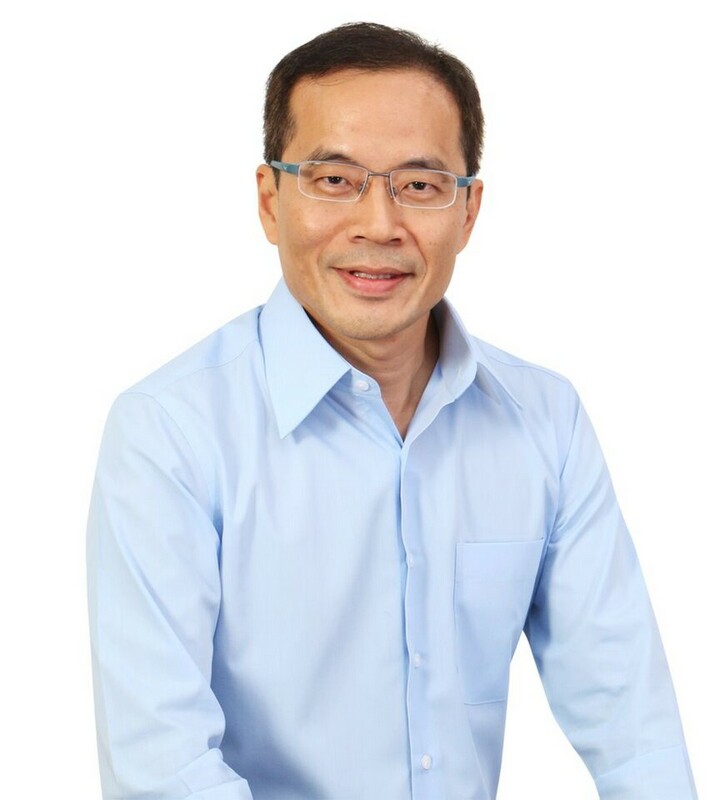 Adjunct communication lecturer and former political detainee Wong Souk Yee, 56, was detained under the Internal Security Act (ISA) for 15 months in 1987. 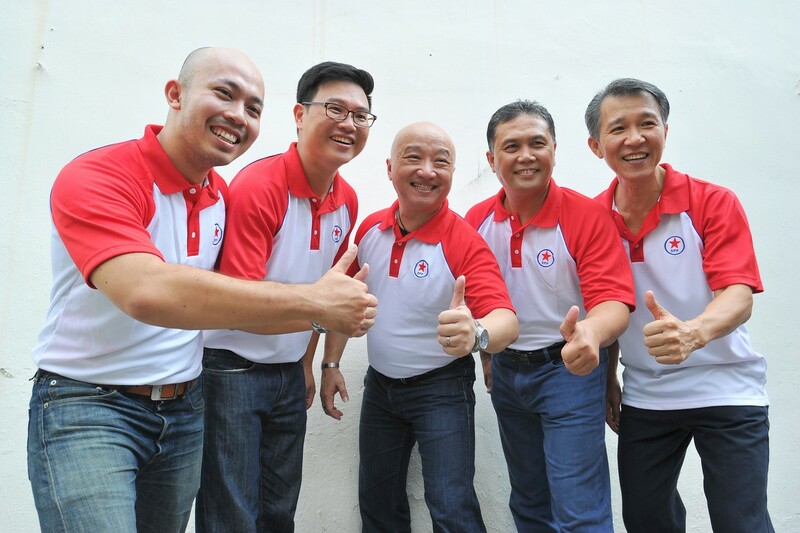 On Saturday, Aug 30, Singaporeans First announced the final 5 of its 10 candidates for the upcoming GE. 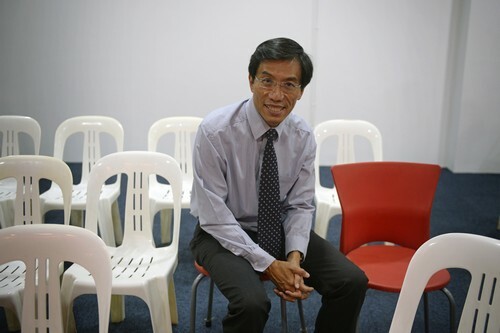 All of the team have not previously contested in elections before except for Dr Ang Yong Guan, who ran in the 2011 polls for the Singapore Democratic Party. 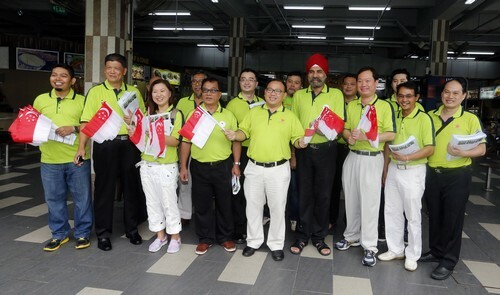 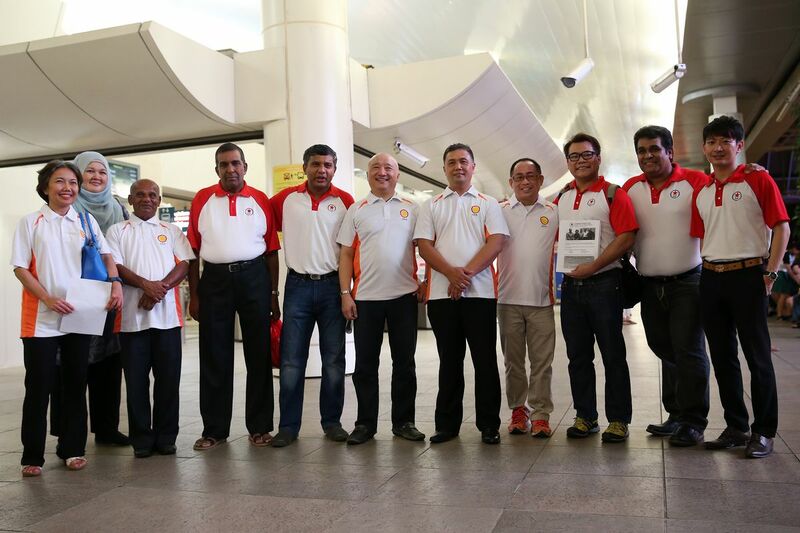 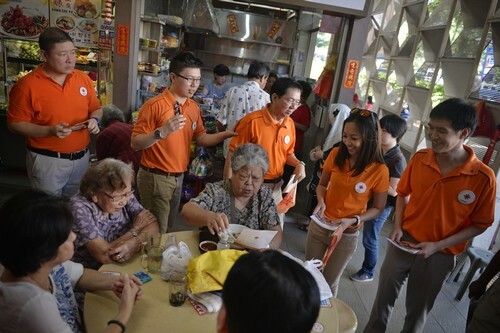 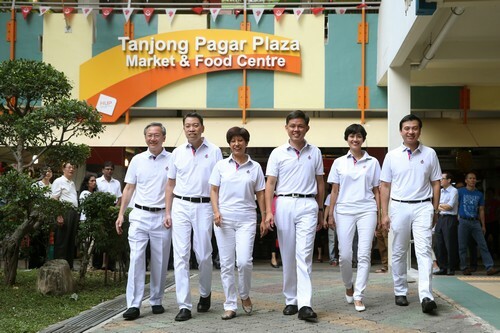 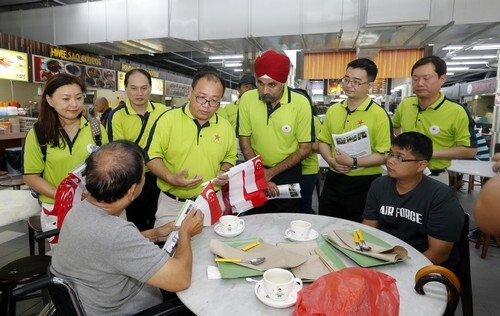 Others on the team are SingFirst vice-chairman Tan Peng Ann, 67, a retired army colonel; SingFirst treasurer David Foo, 51, a chemist; SingFirst central executive committee member Sukdeu Singh, 64, a retired police officer; and Wong Soon Hong, 57, a sales director. 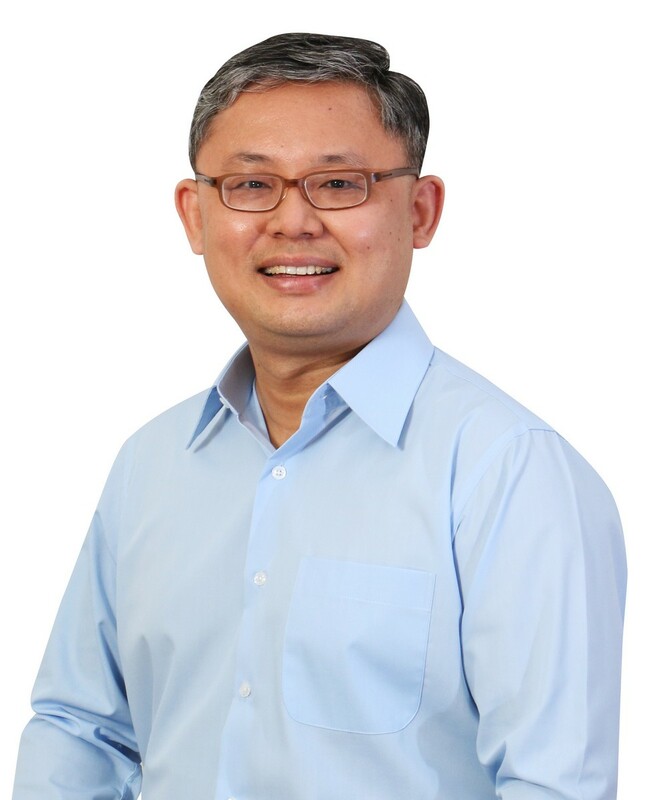 The Singapore Democratic Party (SDP) has revealed two more candidates for the upcoming election on Friday (Aug 28) - Mr Bryan Lim and Mr Damanhuri Abas. 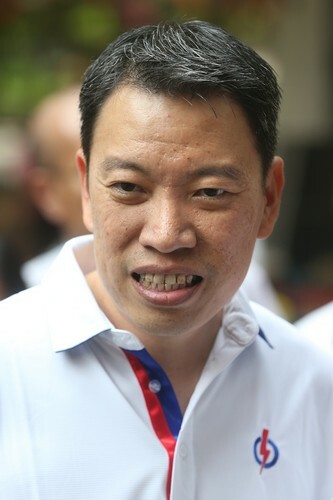 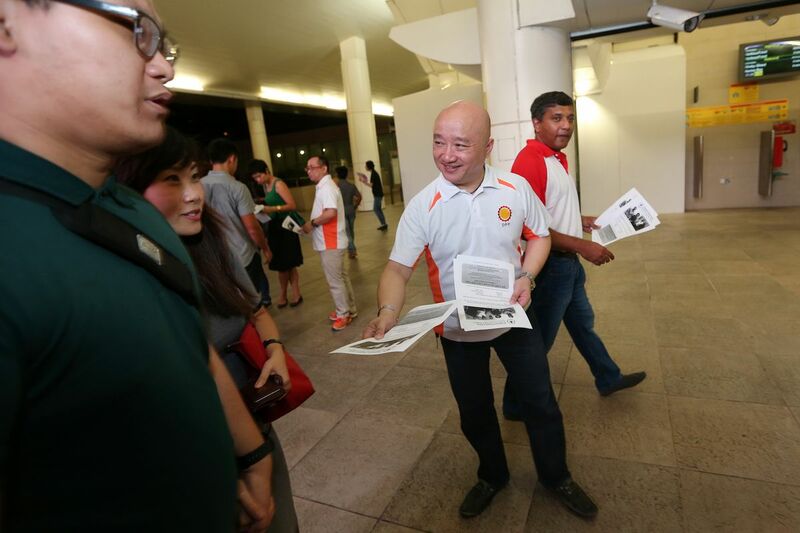 The Straits Times reported that Mr Lim, 38, is in charge of the party's ground operations unit. 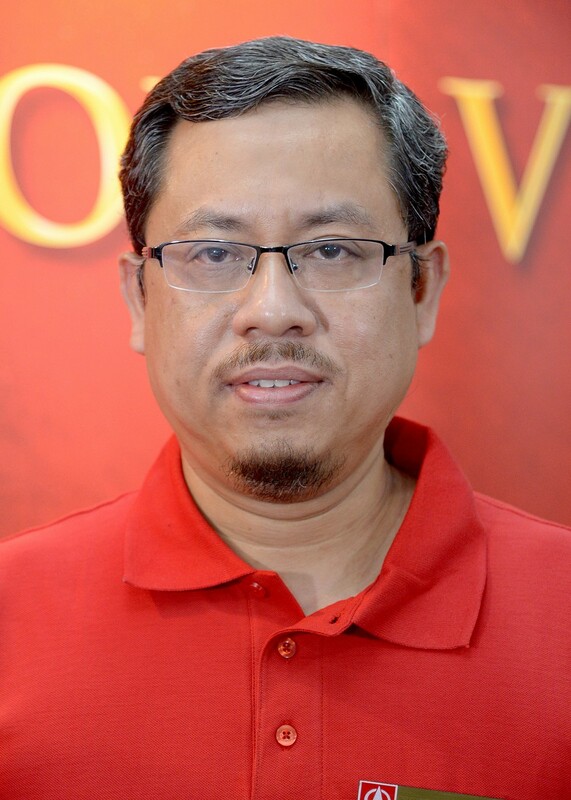 Mr Abas, 45, was the director of an Islamic college, and has been active in the Malay community for more than 20 years. 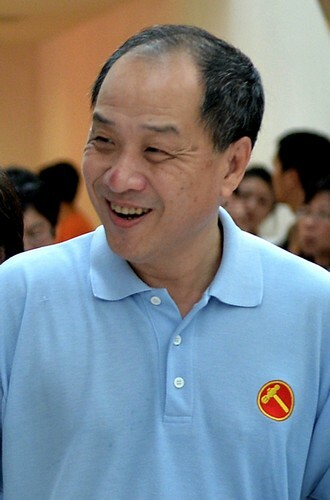 The Workers' Party unveiled a third batch of potential general election candidates, including lawyer He Ting Ru. 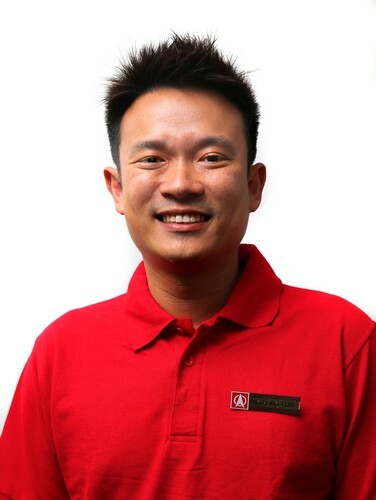 Ron Tan, 30, a real estate agent and director of a real estate investing company. 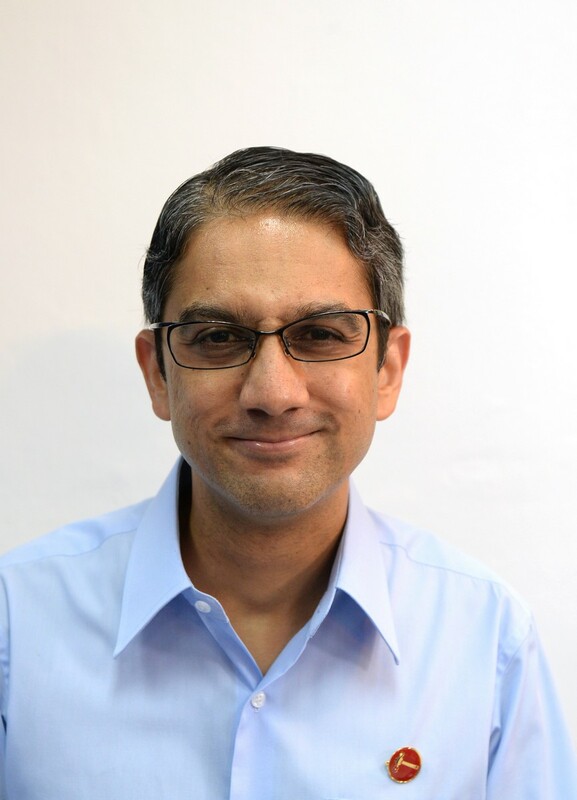 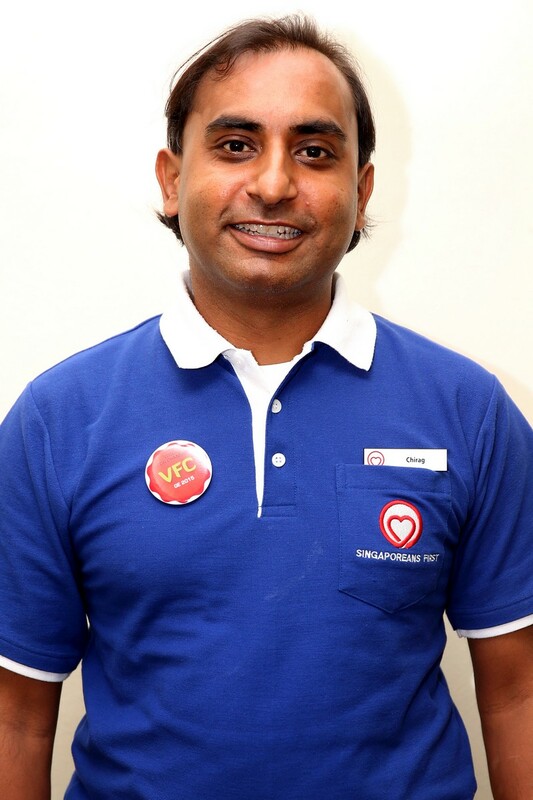 WP will also be fielding polytechnic lecturer L. Somasundaram. 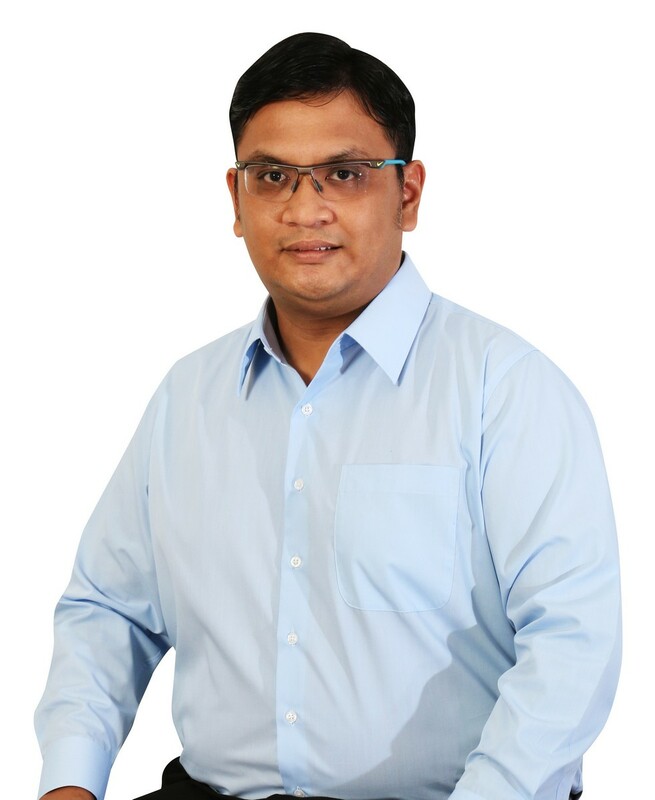 Lawyer M. Ravi will be leading a Reform Party (RP) team to contest Ang Mo Kio group representation constituency (GRC) in the coming general election. 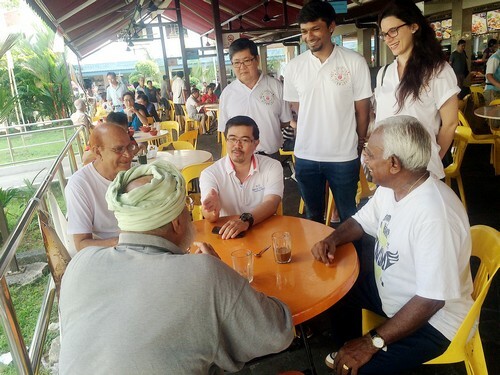 The rest of the team comprises blogger Roy Ngerng, activist Gilbert Goh, entrepreneur Osman Sulaiman, and party volunteers Siva Chandran and Jesse Loo. 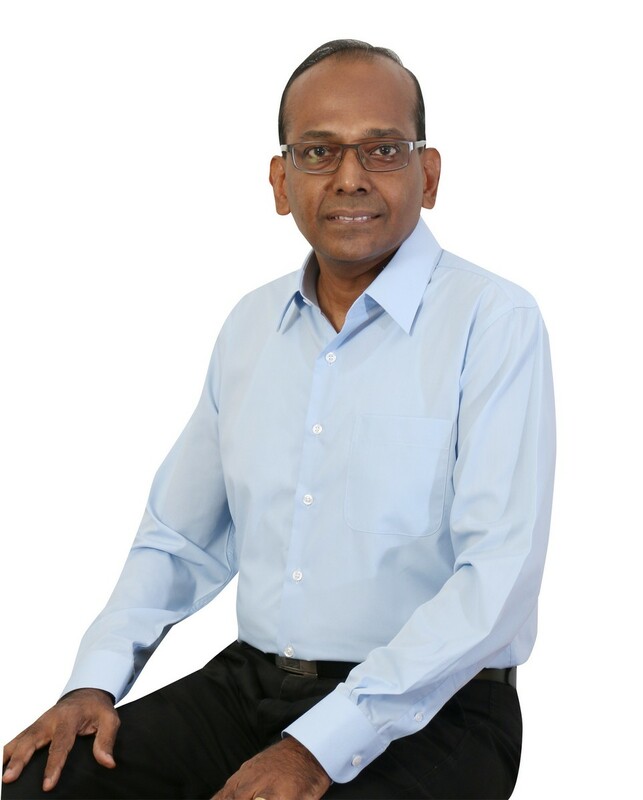 Mr Ravi acknowledged that the "road in front of us is not going to be easy because this constituency is helmed by the PM himself". 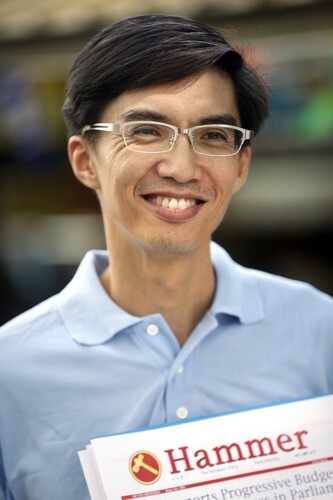 Mr Ngerng was sued by PM Lee or defamation for suggesting that he had misappropriated CPF savings, with damages to be assessed. 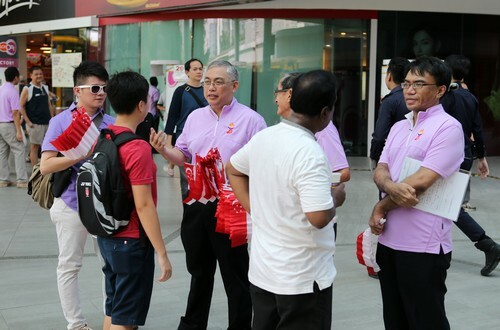 Mr Gilbert Goh is a critic of the 2013 Population White Paper, which forecasts that Singapore might be headed towards a population of 6.9 million. 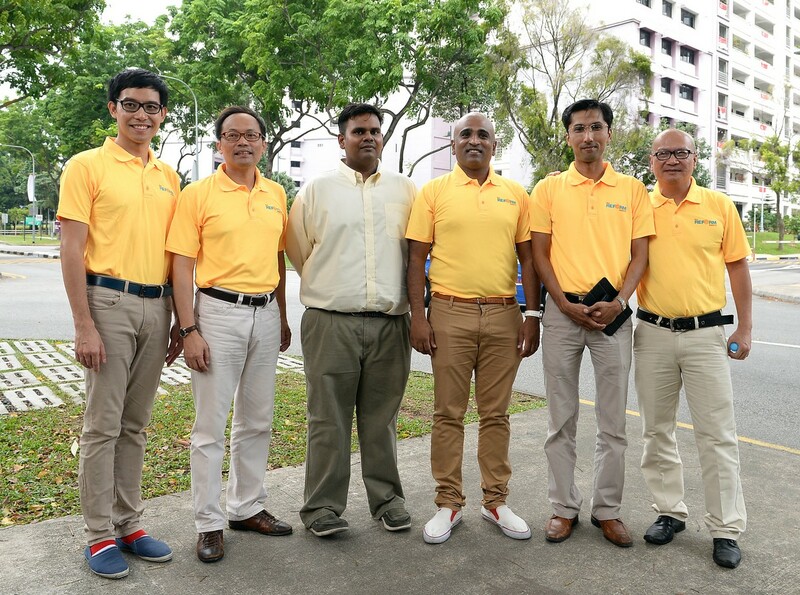 Mr Jesse Loo, along with Mr Ravi, Mr Ngerng and Mr Siva, are first-time candidates. 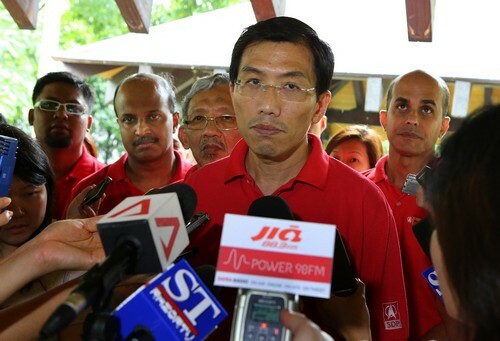 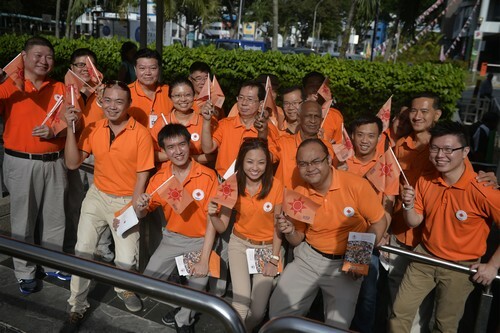 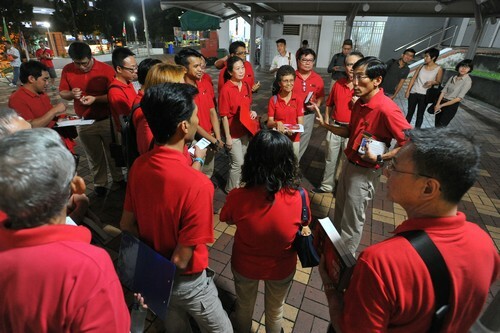 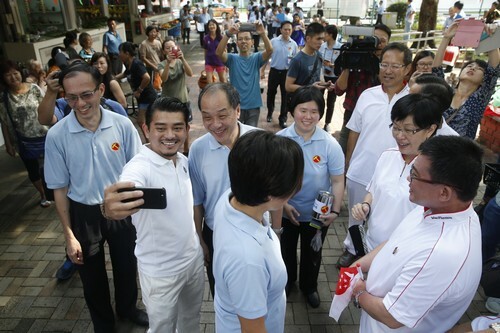 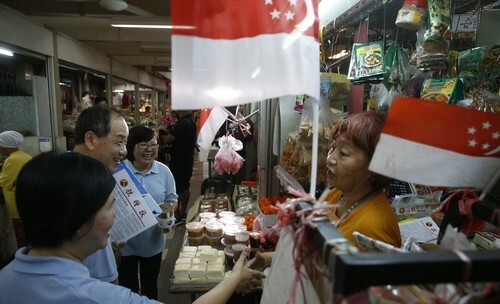 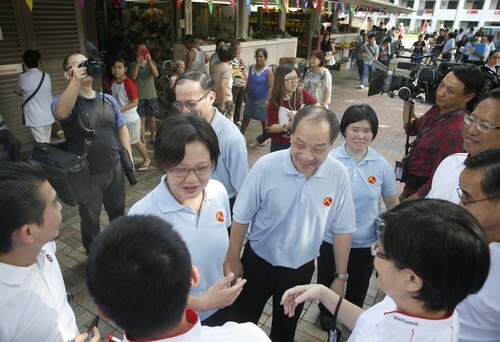 The first five of 10 planned Singaporeans First (SingFirst) candidates for the Sep 11 polls were announced by the party. 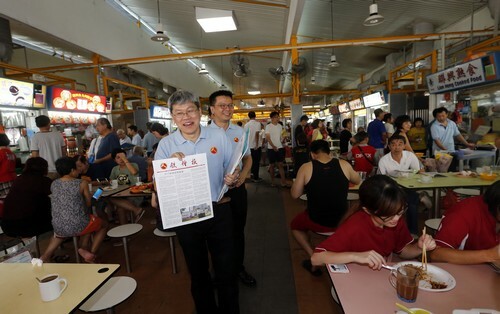 The slate includes party chief Tan Jee Say, 61, who took part in the 2011 general election under the Singapore Democratic Party and in the presidential election later that year. 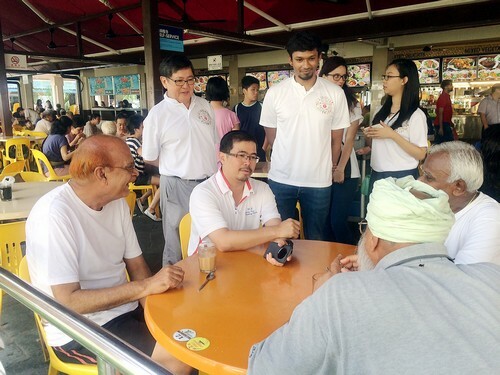 The others are all first-time candidates, including Chirag Desai, 38, a market risk manager. 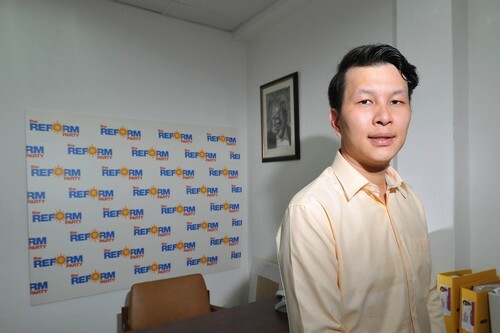 Mr Chiu Weng Hoe Melvyn, 36, a sales executive. 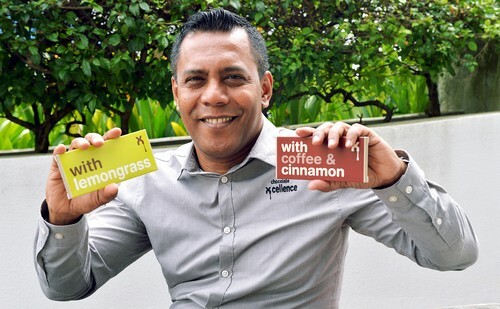 Fahmi Rais, 48, SingFirst co-founder and communications consultant. 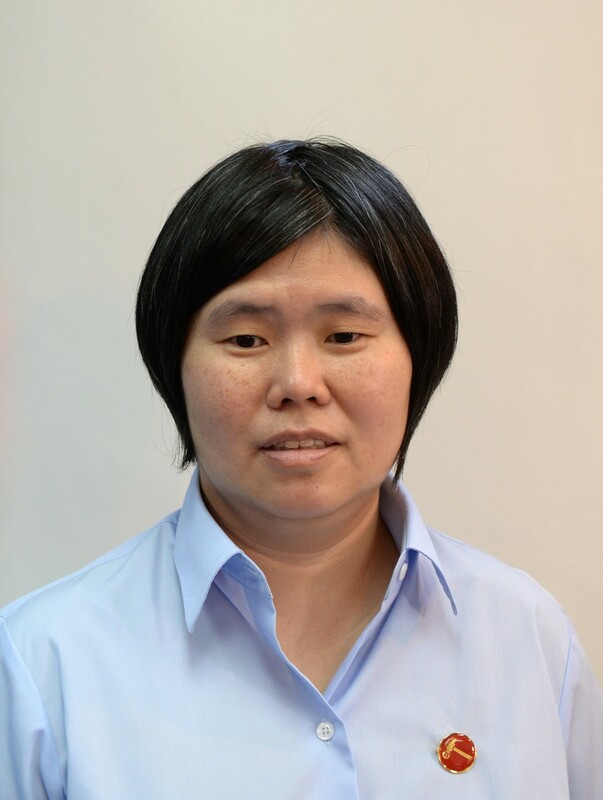 Wong Chee Wai, 44, an IT consultant. 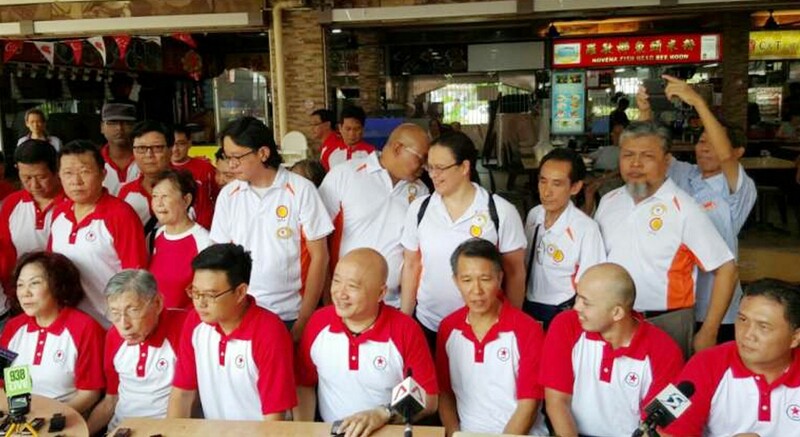 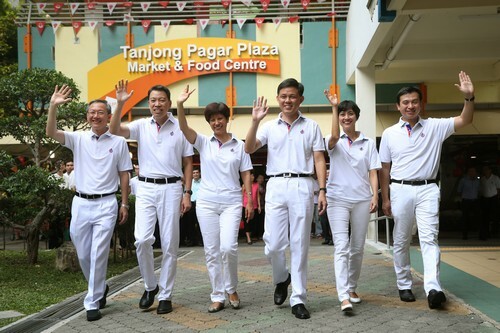 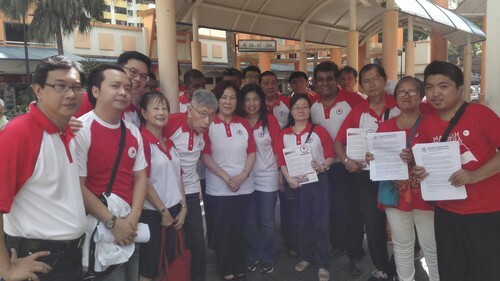 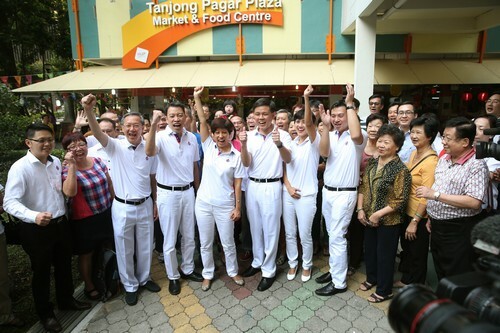 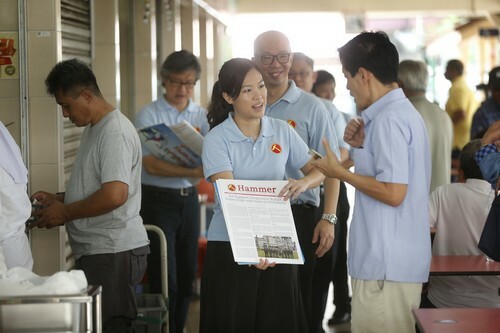 The party plans to contest the Tanjong Pagar and Jurong GRCs. 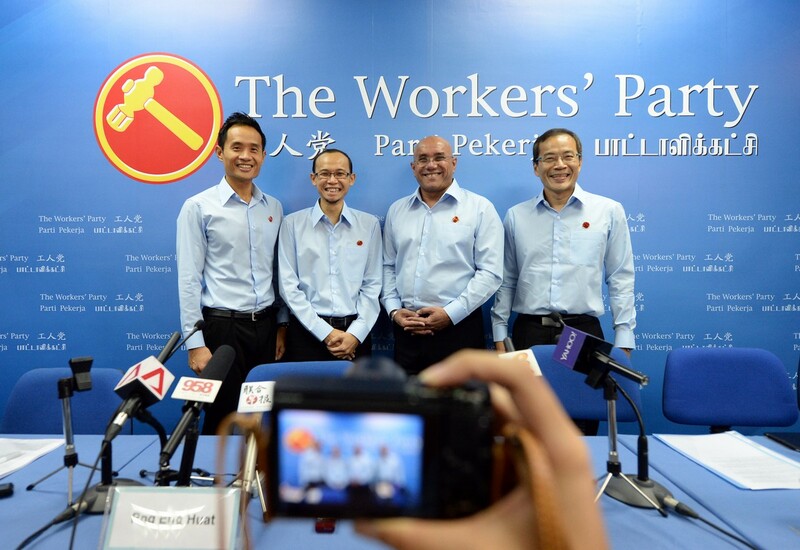 The Workers' Party (WP) has introduced four more potential candidates for the coming general election. 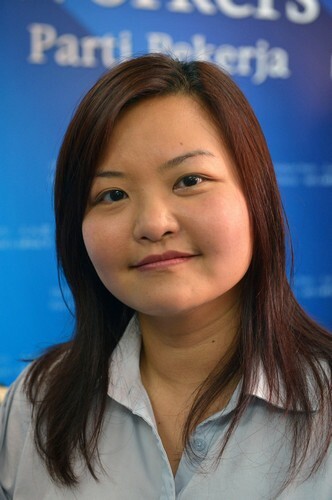 One of whom is Cheryl Loh, 31, a sales consultant. 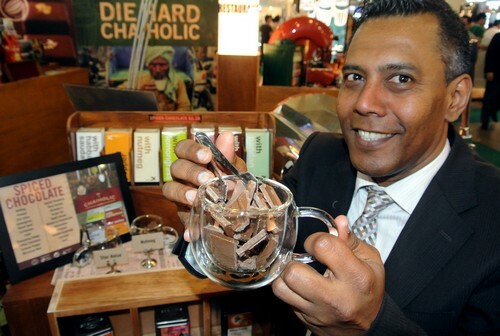 Firuz Khan, 48, a manager at a chocolate manufacturing company. 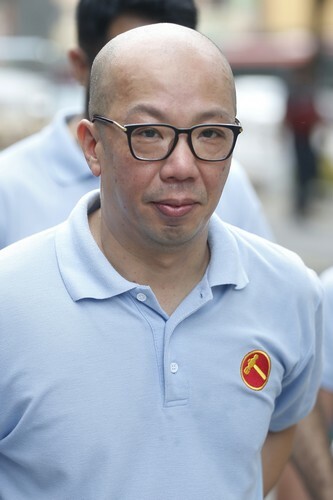 Luke Koh, 41, a managing partner of a private investment business. 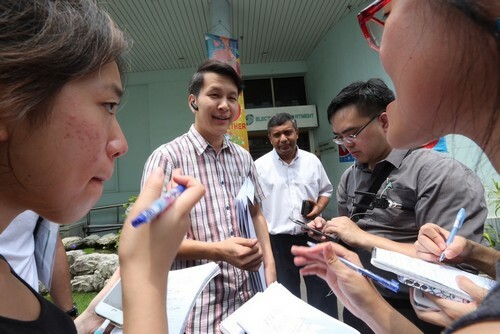 Terence Tan, 44, a lawyer, is the last member to be introduced on Thurs (Aug 27) afternoon. 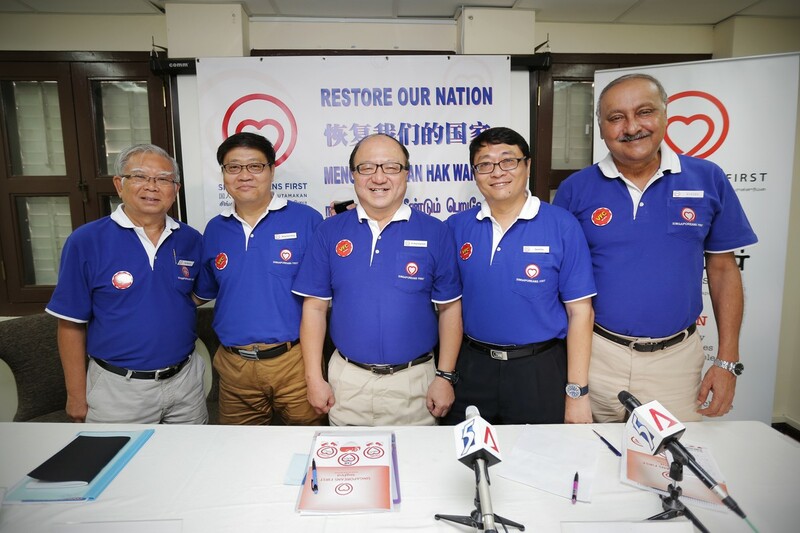 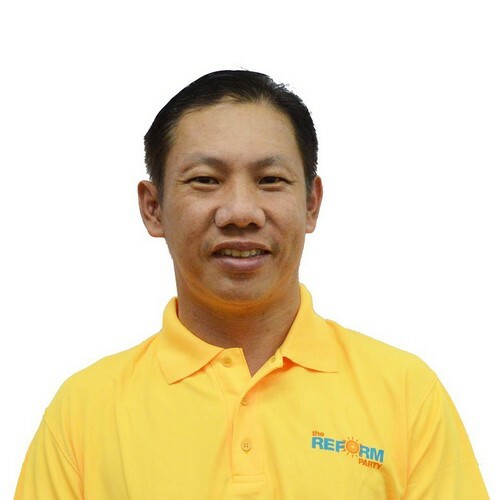 The Reform Party (RP) on Thursday introduced its candidates contesting in West Coast GRC and Radin Mas SMC at the Sept 11 polls. 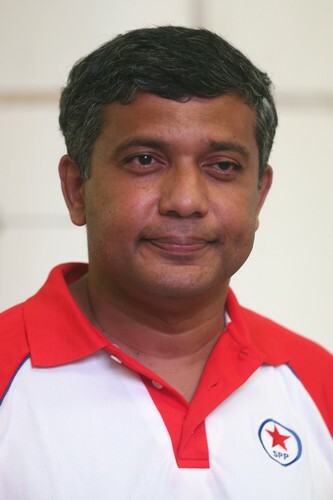 Mr Kumar Appavoo, 46, will contest Radin Mas SMC against PAP's MP Sam Tan. 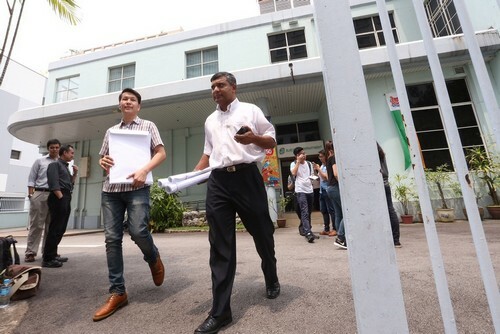 Reform Party members Andy Zhu and Kumar Appavoo leave after picking up the nomination papers at the Elections Department. 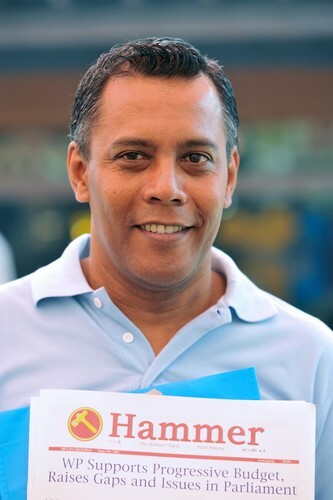 Mr Appavoo, the director of an oil and gas company, previously contested in West Coast GRC at the 2011 GE. 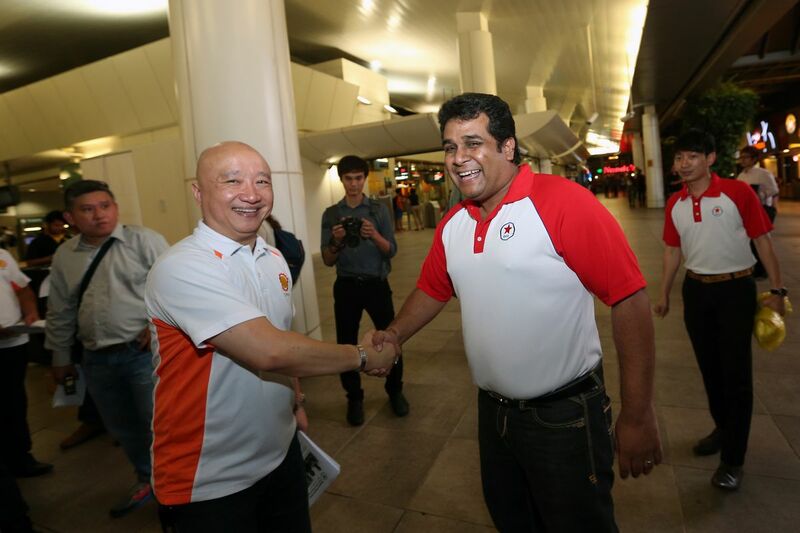 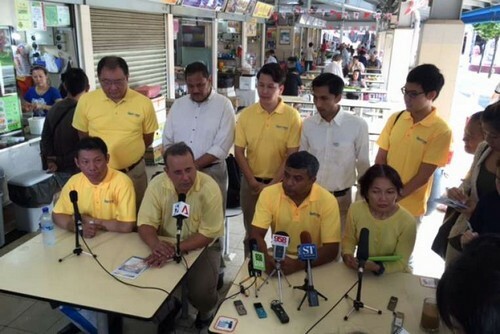 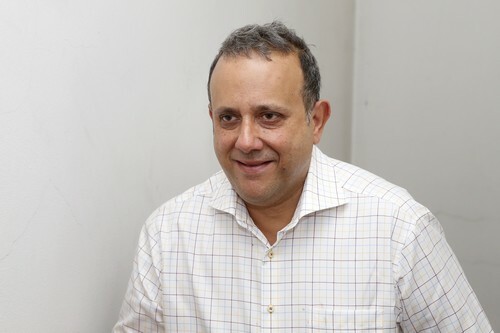 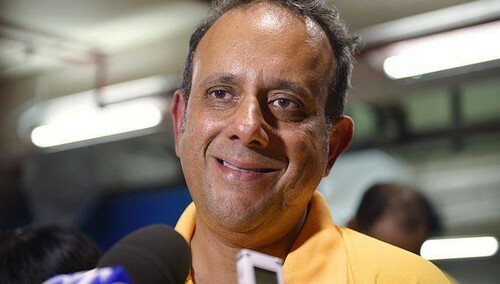 RP's secretary-general Kenneth Jeyaretnam will lead a team in West Coast this coming GE. 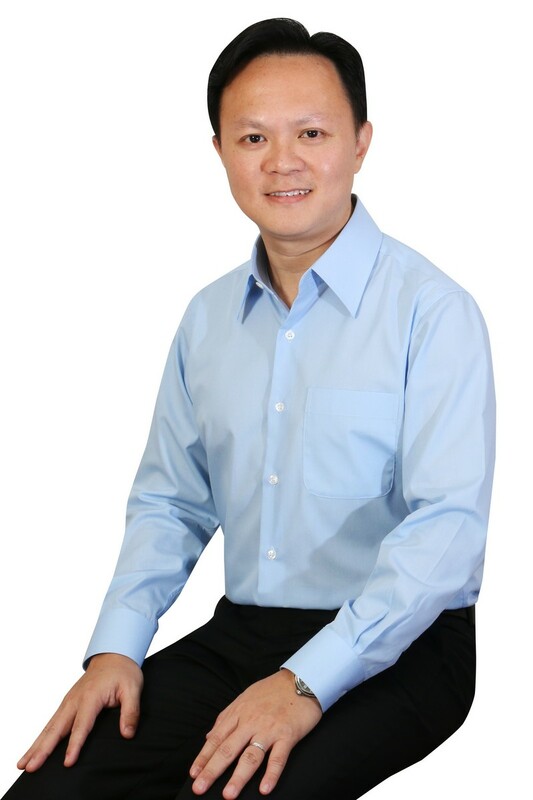 His team includes real estate firm manager Darren Soh. 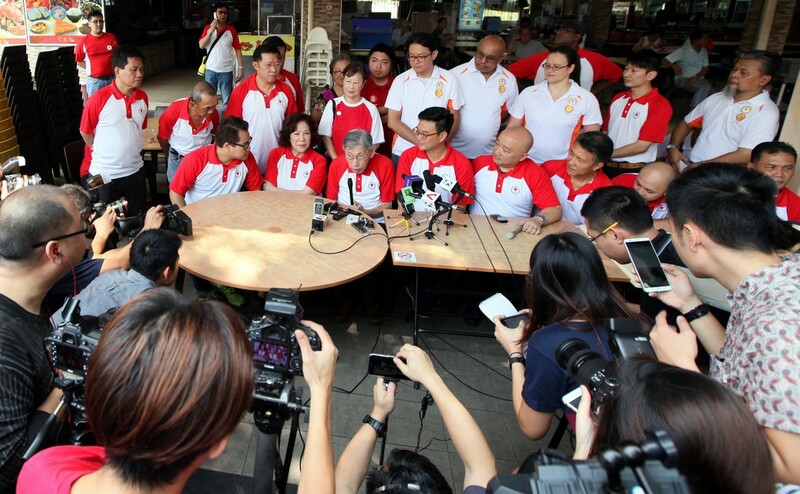 The Workers' Party unveiled its first batch of potential new candidates for the upcoming General Election on Aug 26. 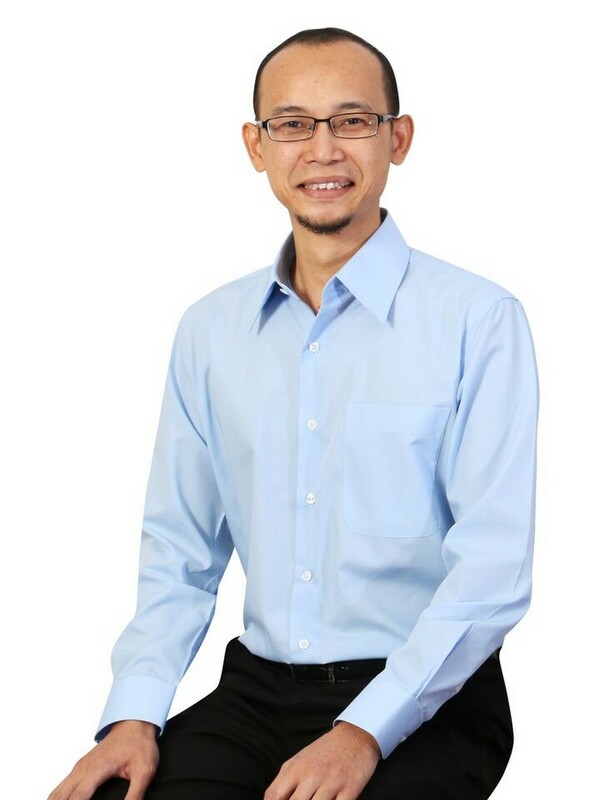 They include Mr Daniel Goh, 42, an associate professor of sociology at the National University of Singapore. 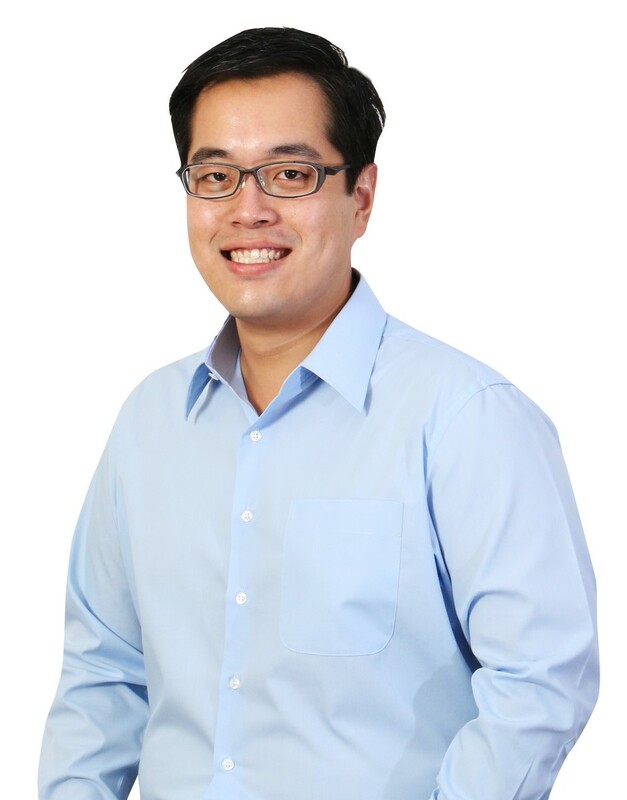 HB Bank wealth manager Dylan Ng. 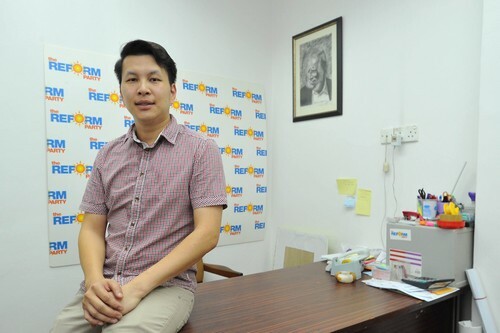 Engineer Redzwan Hafidz intends to raise housing issues if elected. 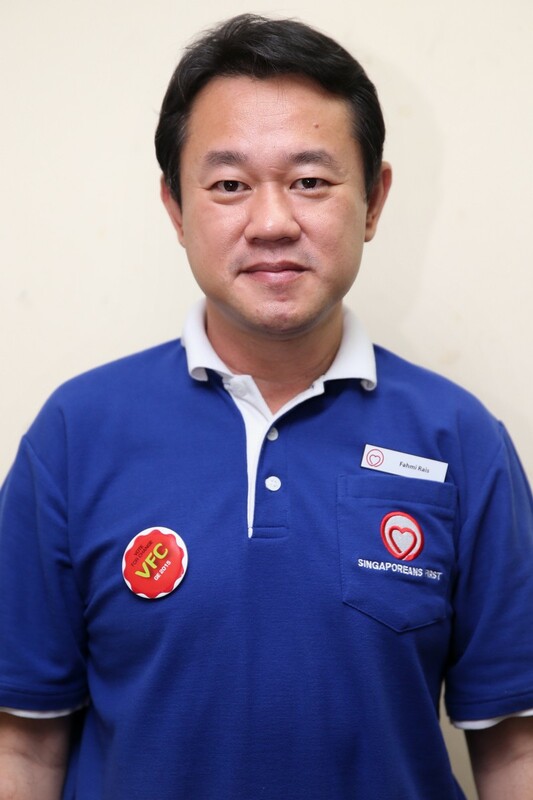 Software engineer Koh Choong Yong was the fourth member introduced. 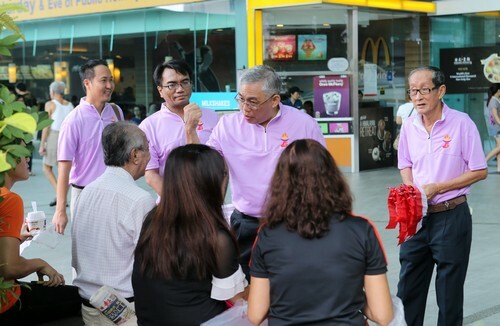 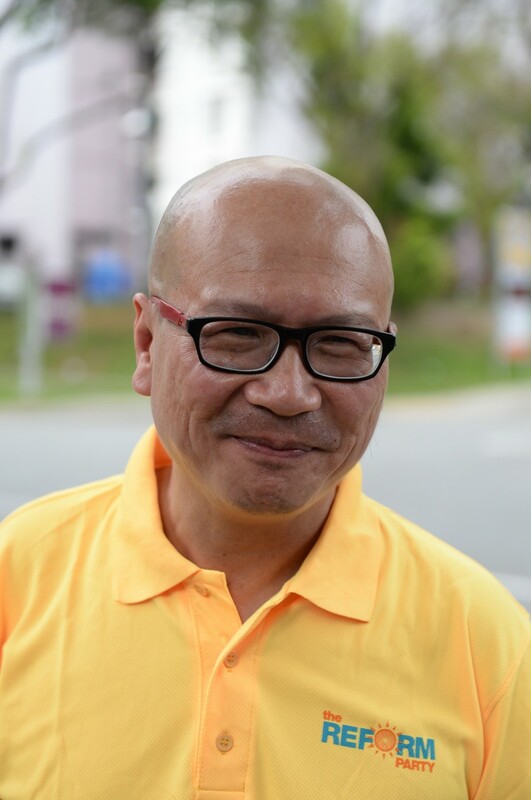 Mr Koh contested Sengkang West SMC in the 2011 General Election, losing to PAP's Lam Pin Min. 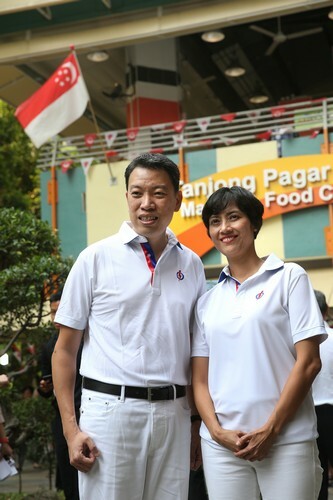 Just an hour after the Writ of Election was issued today, the SDP introduced two candidates for the upcoming polls - party treasurer Chong Wai Fung and member Khung Wai Yeen. 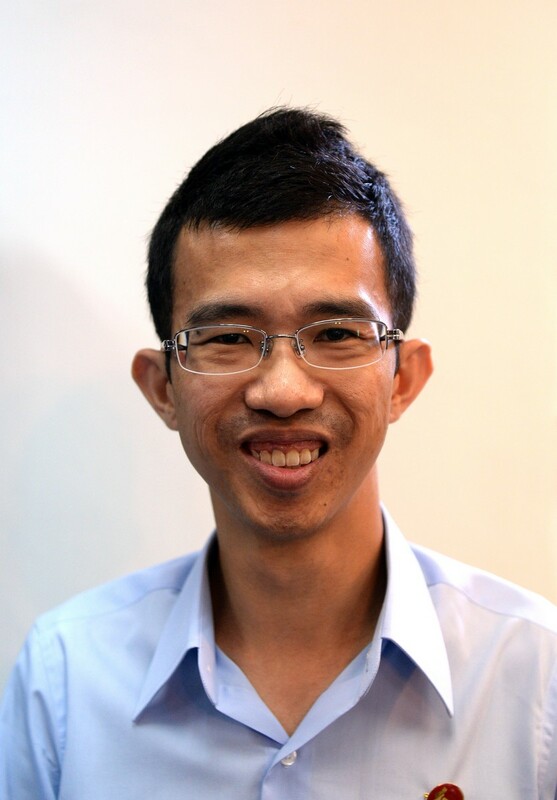 Pictured here is Chong Wai Fung, who holds two Masters degrees, one in public health, from NUS, and another in business administration, from the University of Adelaide. 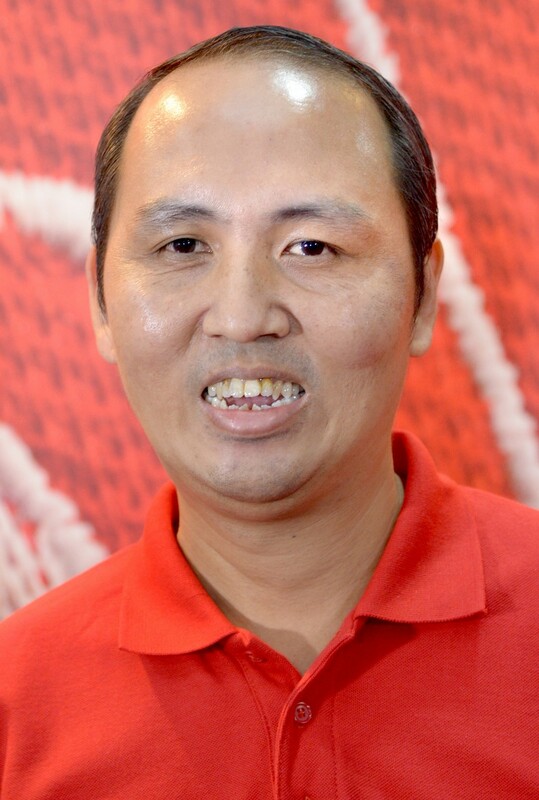 Mr Khung Wai Yeen, 34, is an accounts manager in a European multimational company, SDP stated in its website. 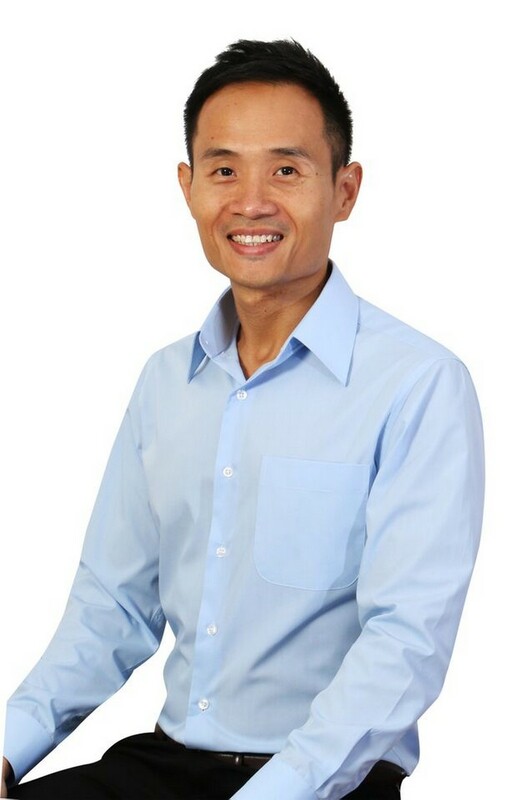 He previously served for eight years in the Singapore Navy. 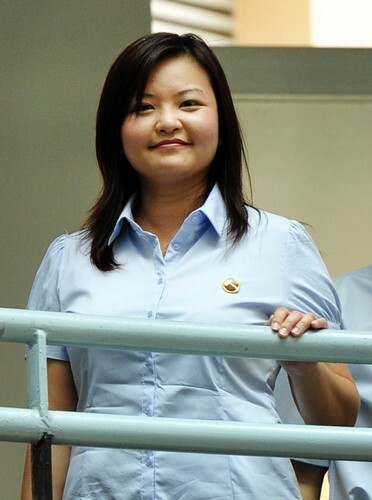 Ms Jaslyn Go Hui Leng, a member of SDP, was introduced as a candidate on Aug 26. 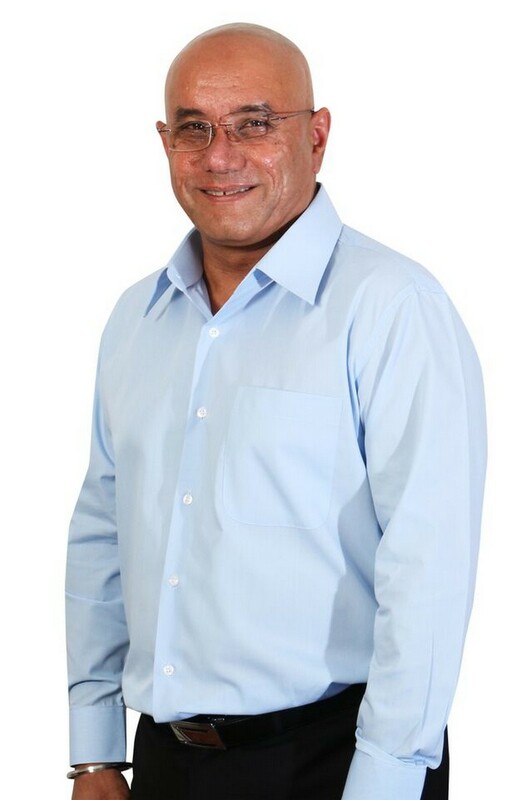 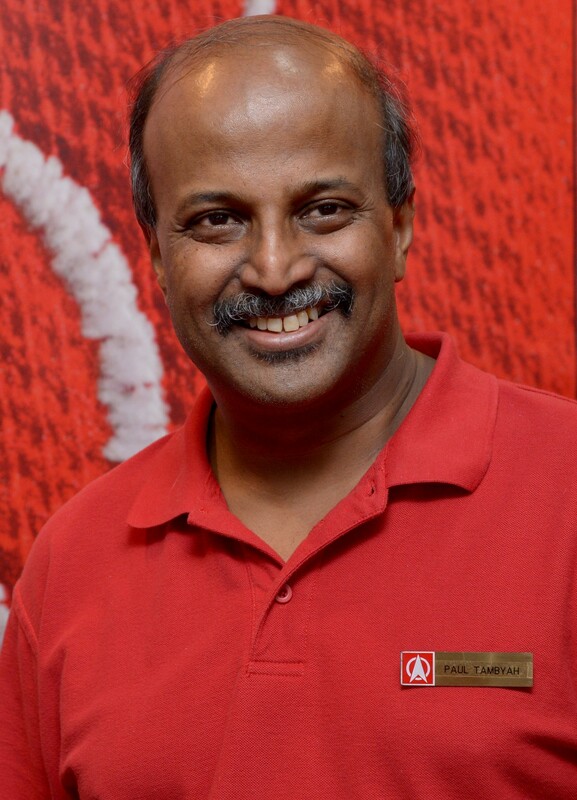 Dr Paul Tambyah from the SDP will contest in the upcoming elections. 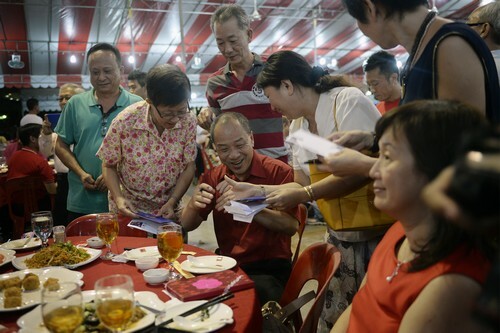 He highlighted issues pertaining healthcare costs during his introduction. 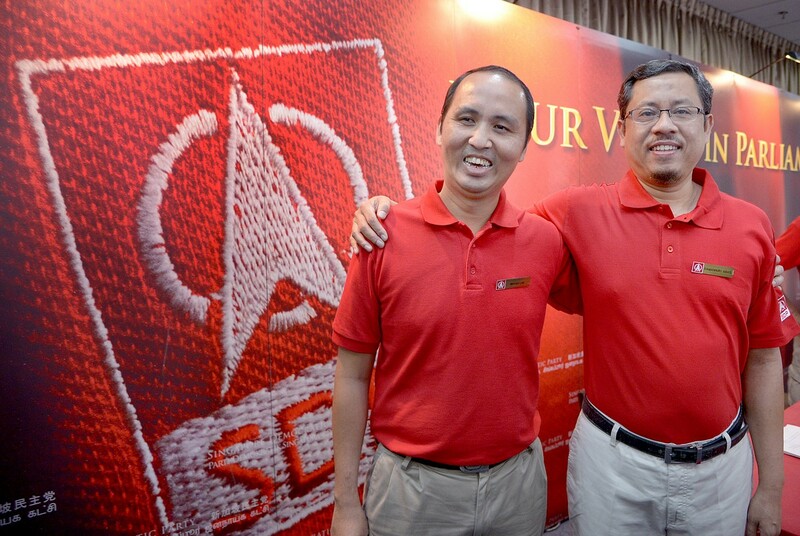 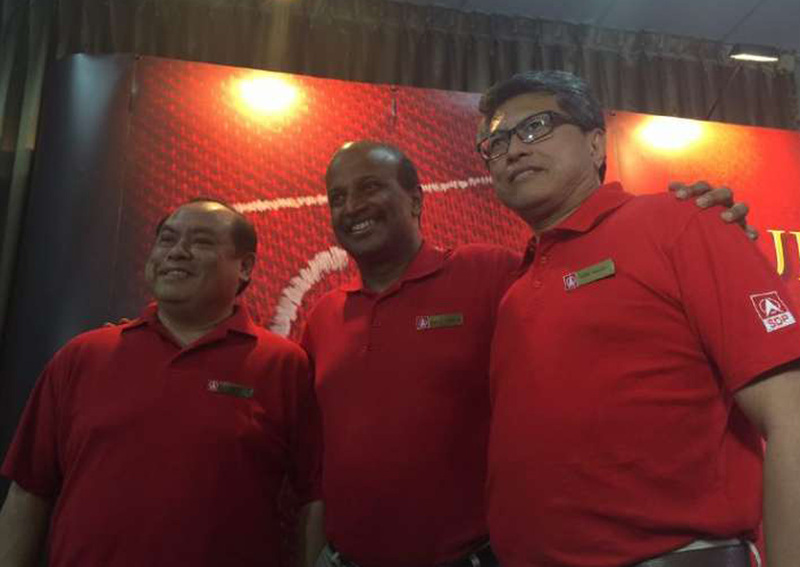 SDP candidates (from left) John Tan, Paul Tambyah and Sidek Mallek. 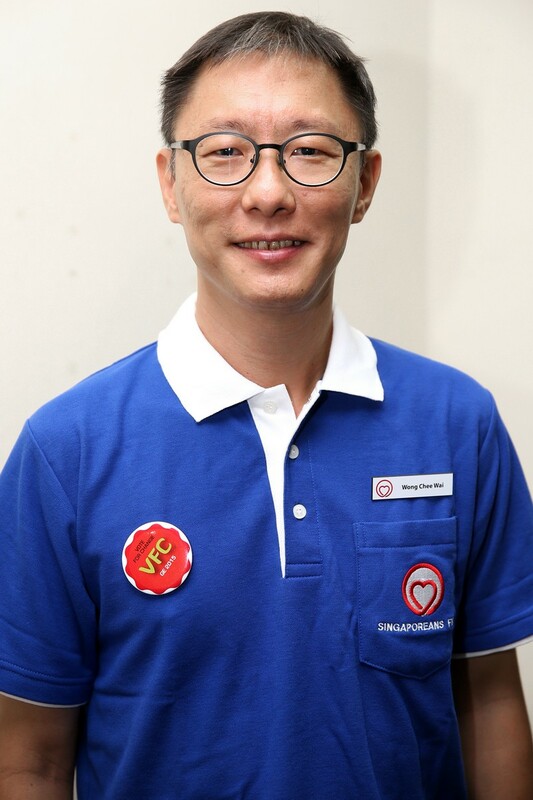 Chee Soon Juan from Singapore Democratic Party (SDP) will contest in the upcoming General Election. 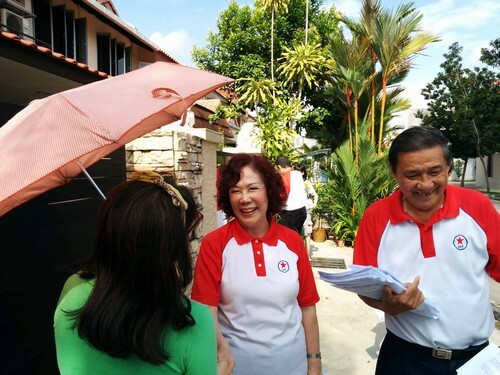 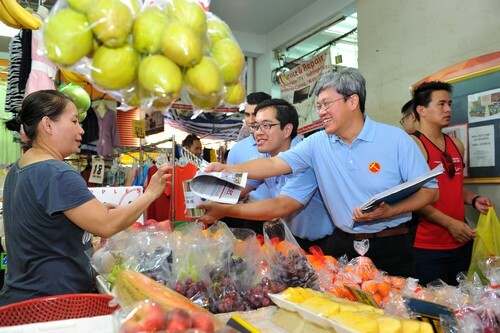 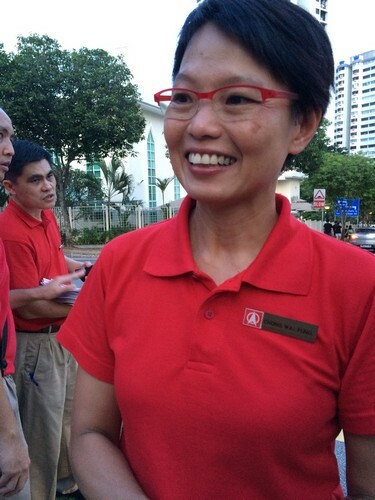 Jeannette Chong-Aruldoss from Singapore Political Party (SPP) contesting Mountbatten SMC. 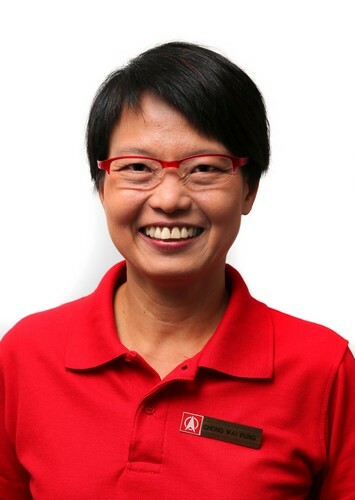 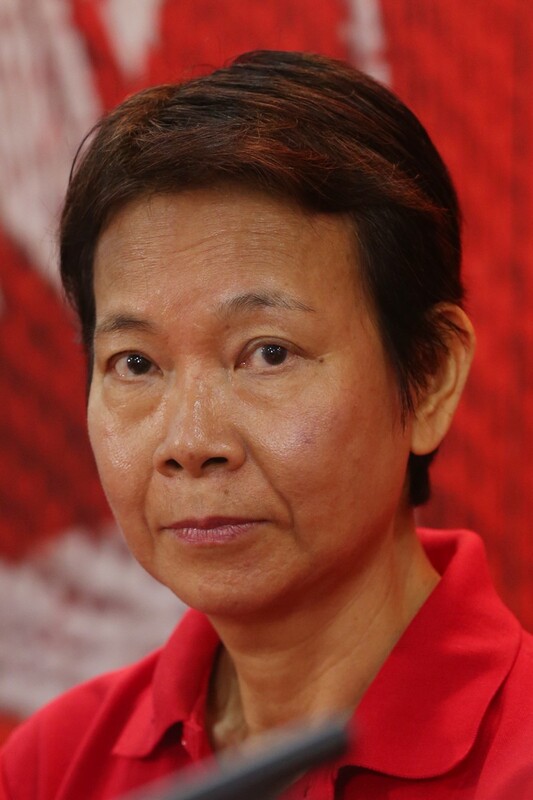 Lee Li Lian from Workers' Party (WP) contesting Punggol East SMC. 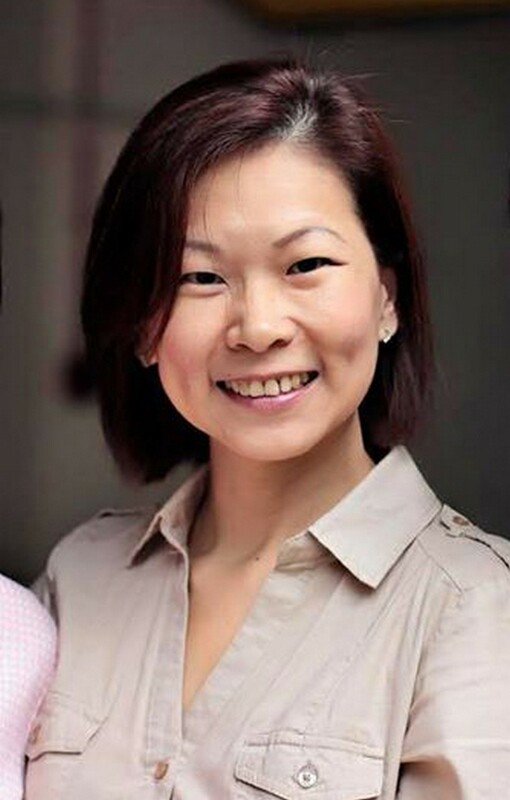 Lina Chiam from Singapore Political Party (SPP) contesting Potong Pasir SMC. 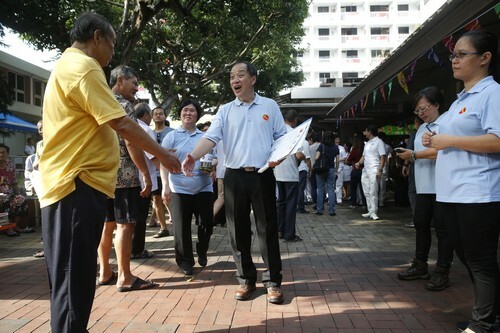 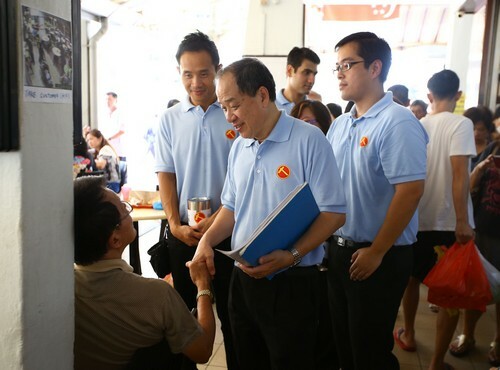 WP's Low Thia Khiang to defend his seat in Aljunied GRC. 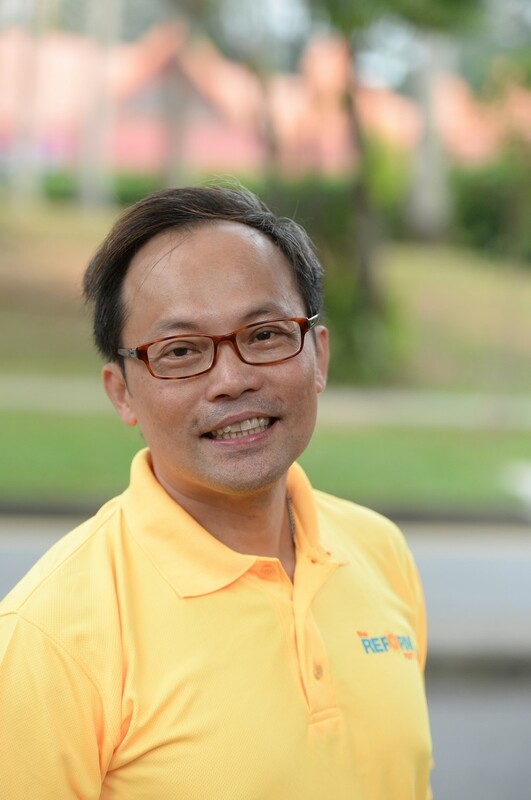 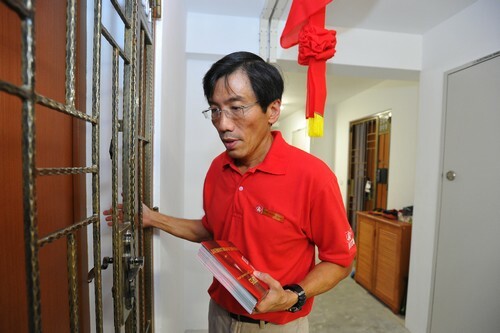 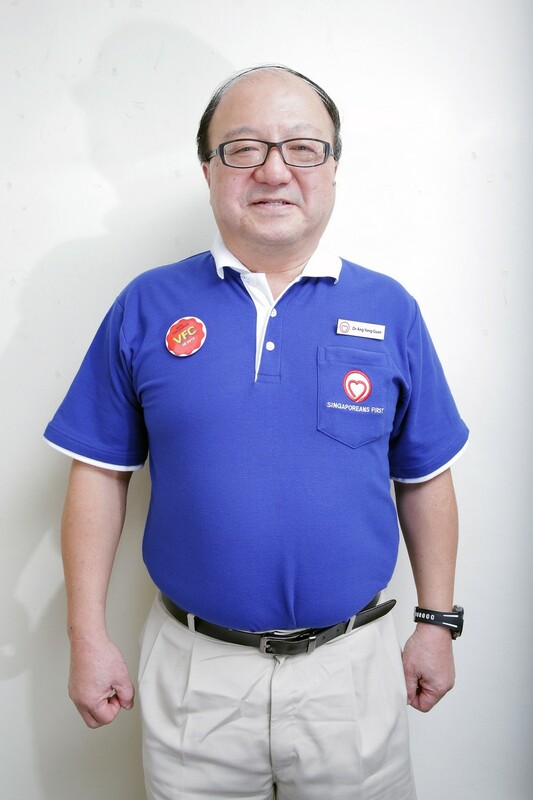 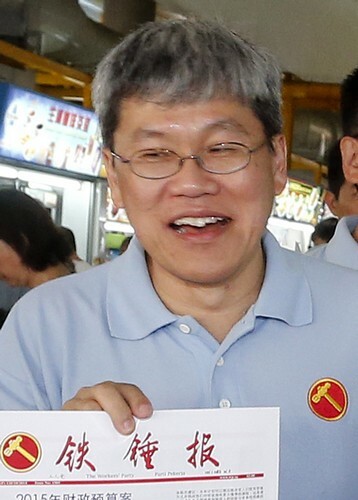 WP's Png Eng Huat to defend his seat in Hougang. 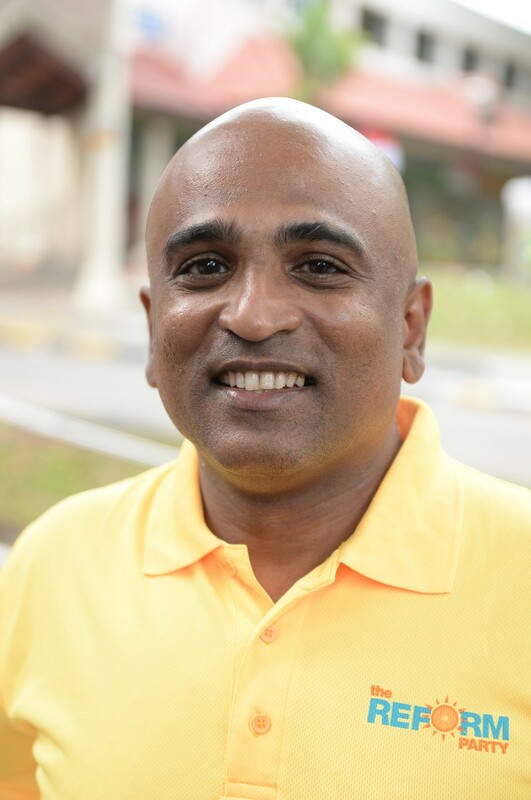 SPP's Ravi Philemon contesting Hong Kah North SMC.